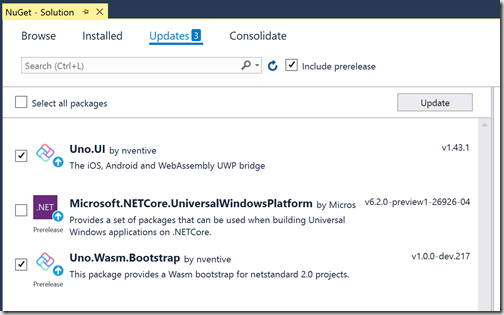 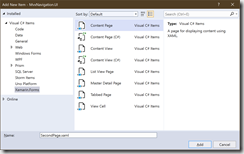 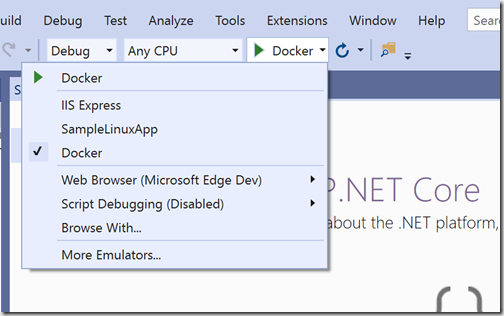 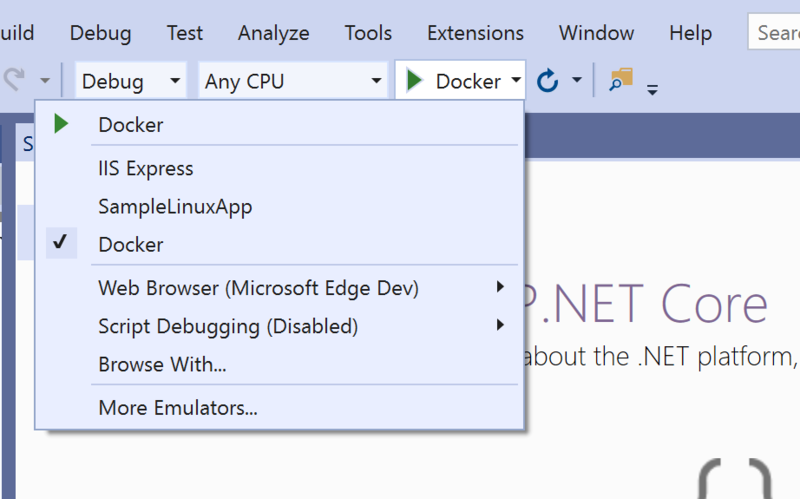 Right-click on the ASP.NET Core project and select Publish. 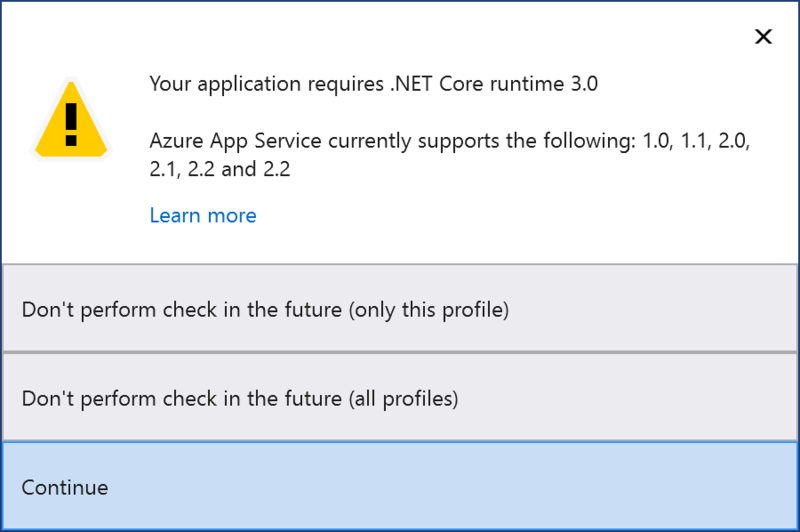 And secondly, when you return to Visual Studio you’ll see a warning prompt indicating that ASP.NET Core 3 isn’t supported in Azure App Service right now. Luckily Microsoft documentation has you covered. 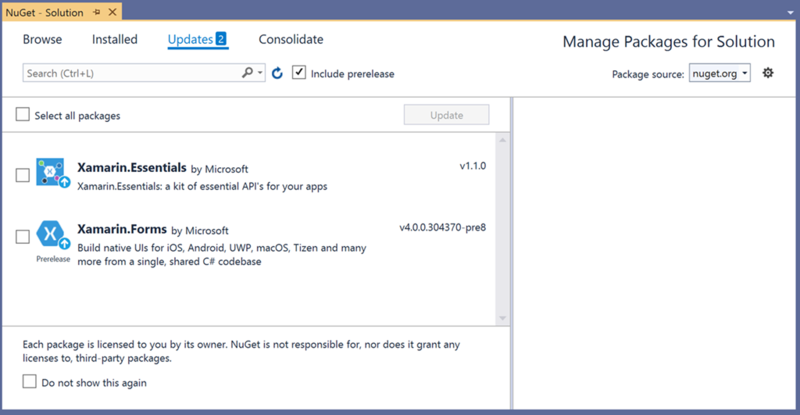 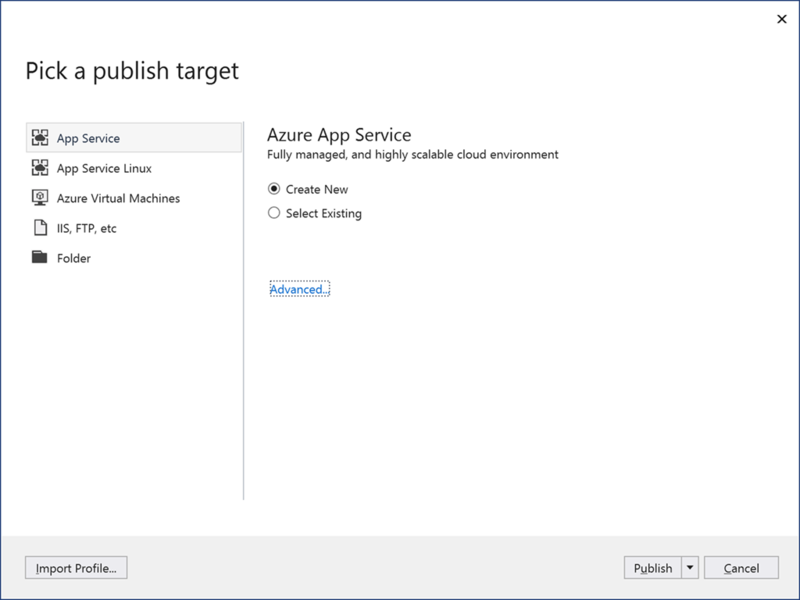 If you go to the main documentation on publishing to Azure App Service there is a link of to deploying preview versions of ASP.NET Core applications. 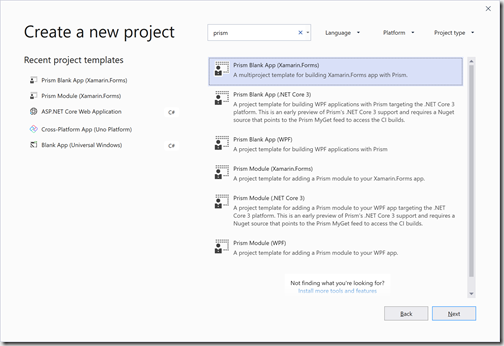 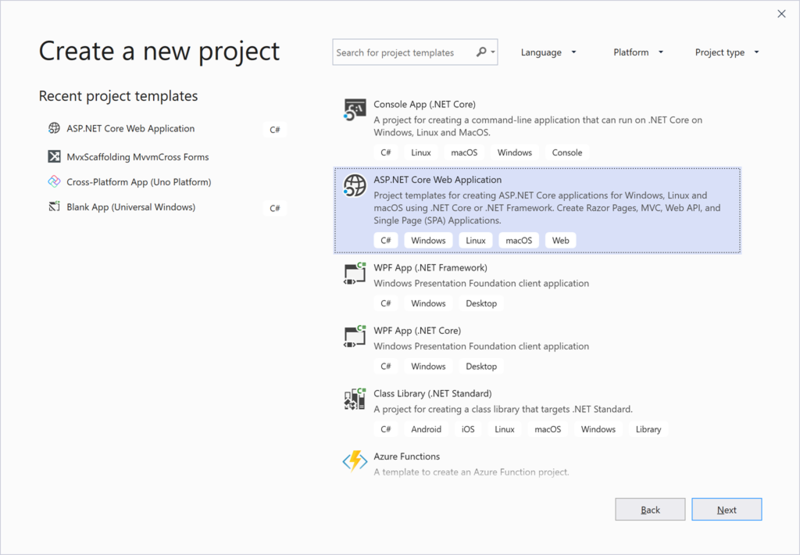 This document covers two different ways to fix this issue – you can either install the preview site extensions for ASP.NET Core 3, or you can simply change your deployment to be a self-contained application. 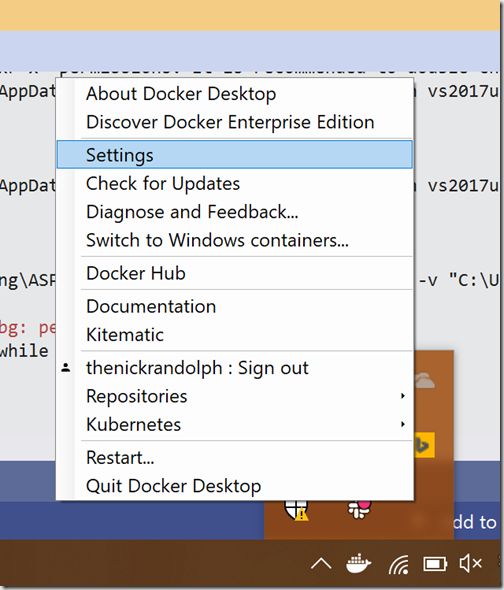 In this case we’re going to go with deploying a self-contained application, since this reduces any external dependencies which seems sensible to me. 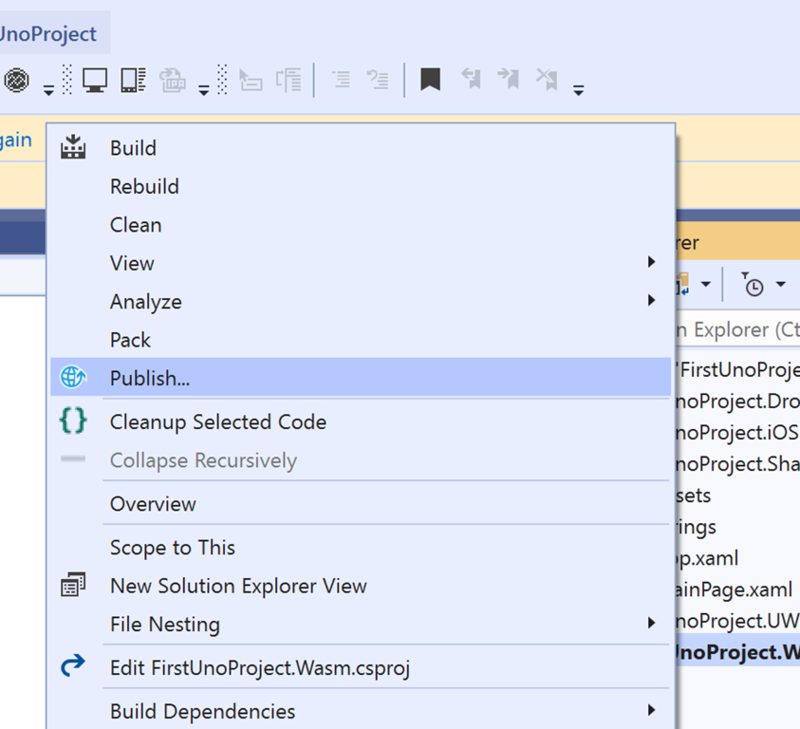 After returning to Visual Studio and dismissing the above version warning, you’ll see the Publish properties page with the default publish configuration (you can get back to this page by right-clicking your ASP.NET Core project and selecting Publish in the future). 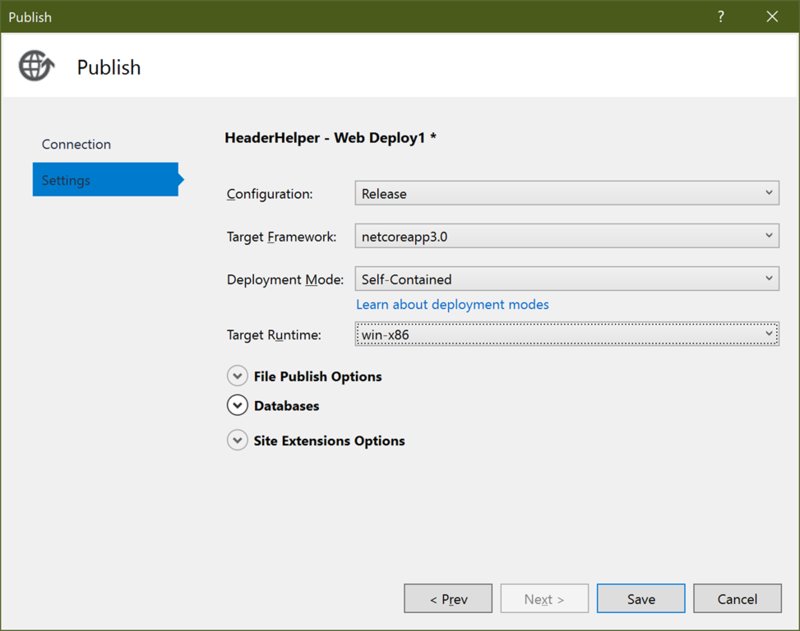 We’re going to click the pencil icon along side any of the summary properties to launch the Publish dialog and change the Deployment Mode to Self-Contained, and the Target Runtime to win-x86. 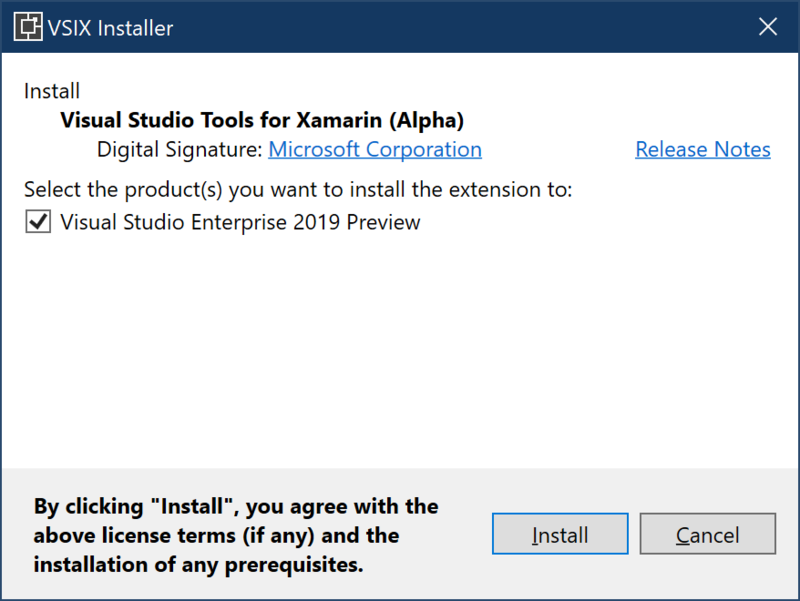 You may be tempted to select win-x64 but only do this if the Platform setting on your App Service is set to 64 Bit, otherwise your service won’t start and you’ll see a 503 service error. 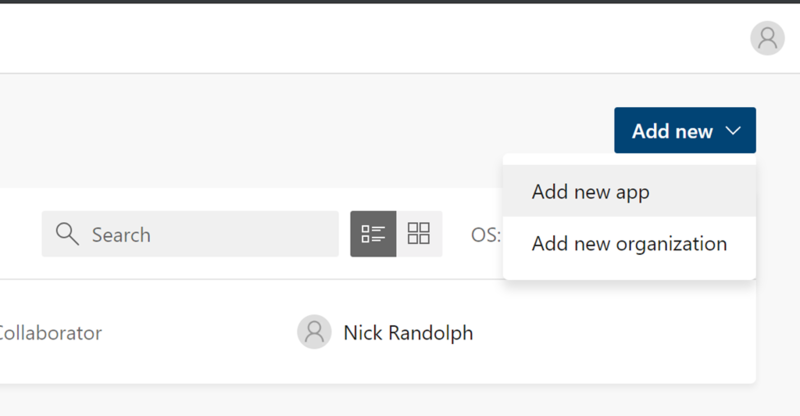 Click Save and then the Publish button to publish the application using the updated publishing properties. 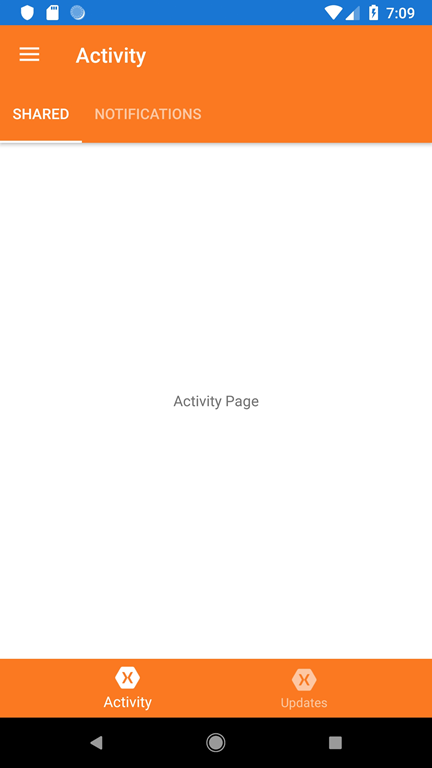 Note that if you’re on a network that has a slow uplink (eg ADSL) this might take a while, so you might consider jumping on a fast network (eg 4G mobile) to do the upload (and yes, this does make Australia sound like an under-developed nation when it comes to access to the internet – sigh!). This call is successful but again returns Http/1.1 – this is because curl is attempting to request an upgrade to http/2 but the service isn’t willing/able to upgrade the connection. 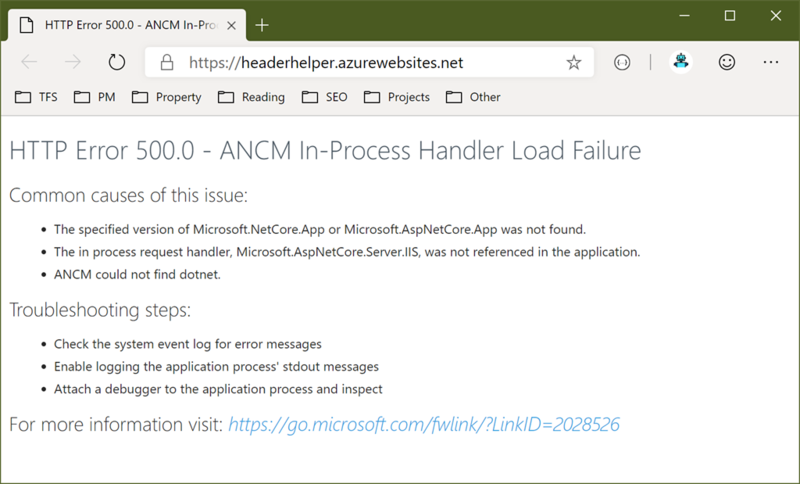 This call fails because curl is forcing the use of Http/2 when in fact the service isn’t able to communicate using Http/2. 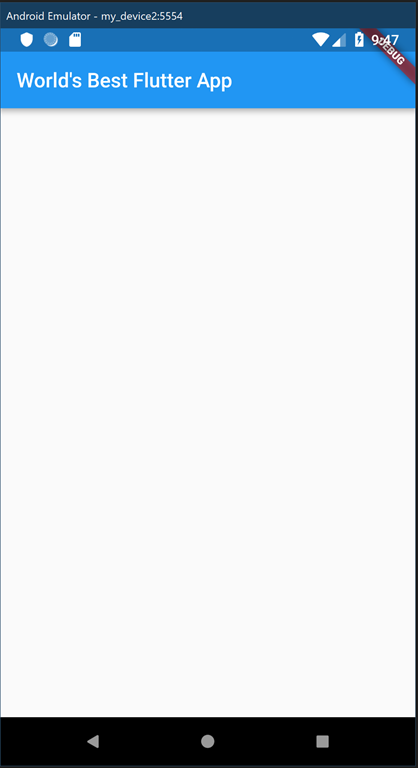 So, how do we fix this? 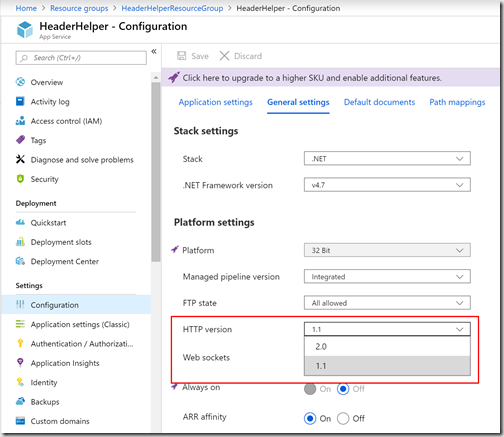 Well the good news is that Azure App Service has a simple configuration setting that can be used to enable Http/2. 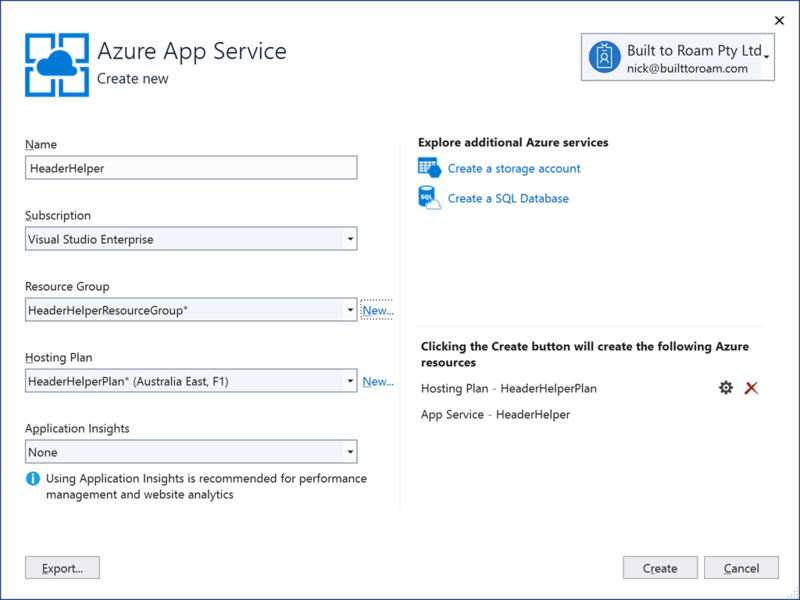 Here I’m just setting the HTTP version in the Configuration page for the Azure App Service. 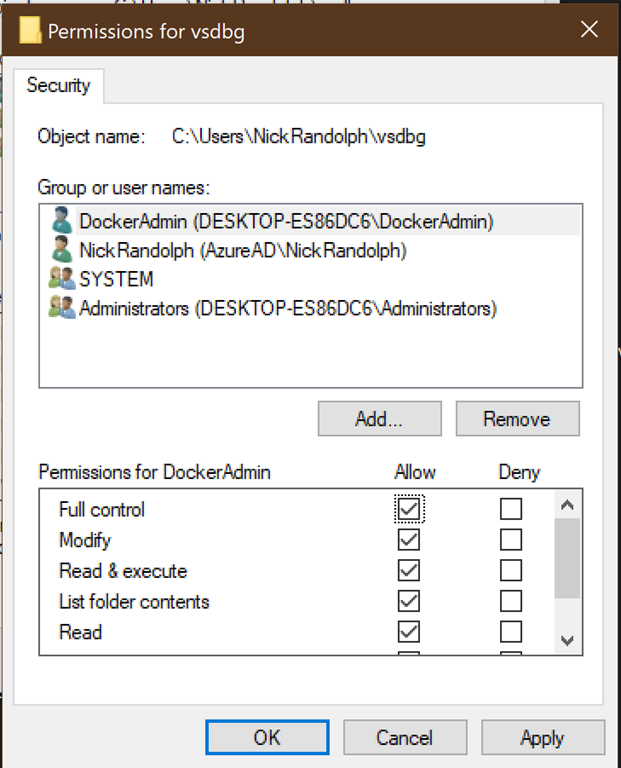 This can also be set via the resource explorer, as covered by a number of other people (eg this post). 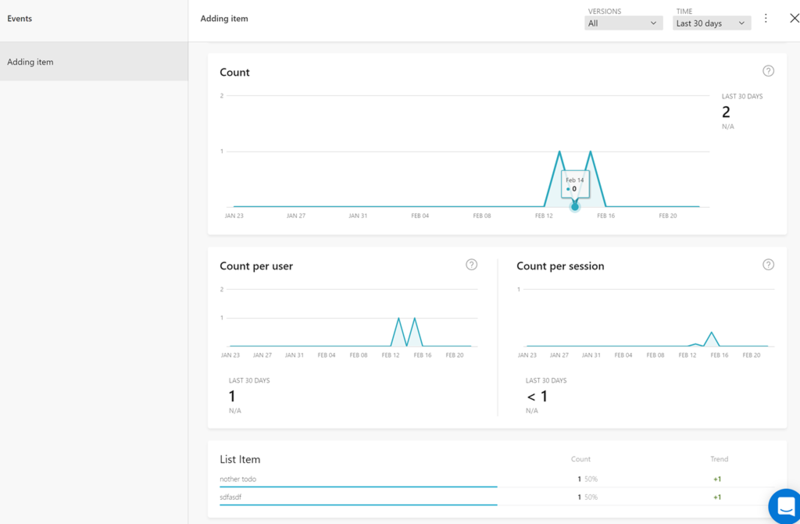 After making your change, don’t forget to Save changes and then give the service 30-60seconds for it to be restarted – if you attempt to request the service immediately you’ll still get Http/1.1 responses. 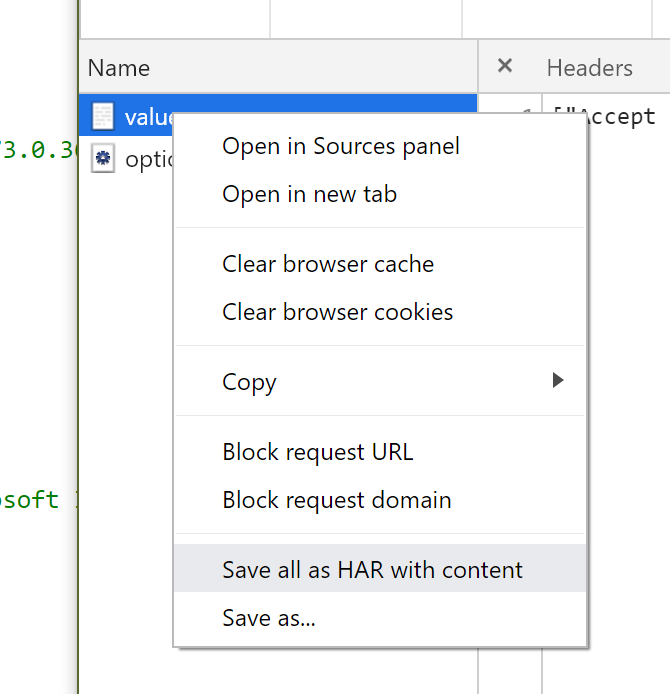 Note that it doesn’t matter whether we attempt to negotiate the http/2 upgrade (--http2 flag) or force the point (--http2-prior-knowledge), in both cases the connection reports HTTP/2. 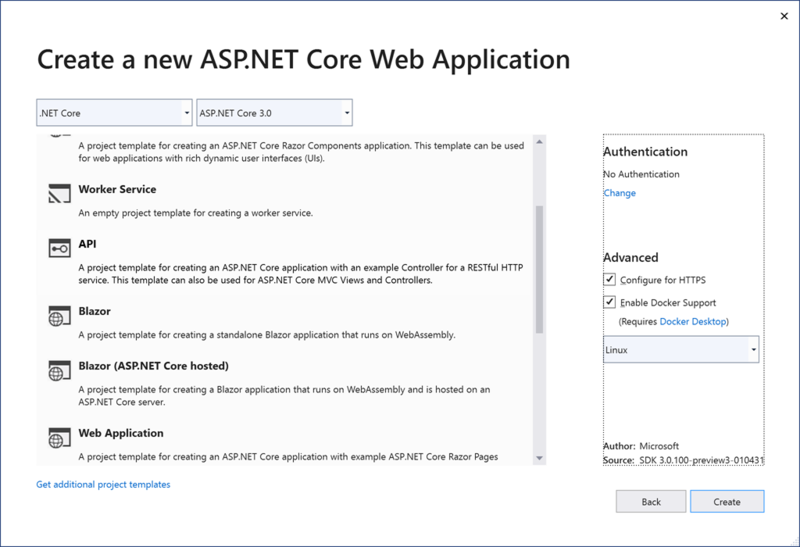 However, what’s not cool is that the Http protocol returned by the service is HTTP/1.1 – this is what is seen by the ASP.NET Core Web API. What we’re seeing here is that Azure is terminating the Http/2 connection and then communicating to the underlying ASP.NET Core application using Http/1.1. 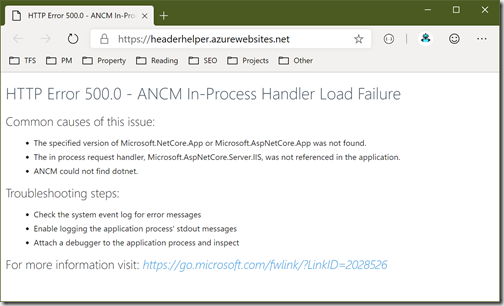 This is consistent with the way that SSL support is done – Azure terminates the SSL connection, meaning that your ASP.NET Core application doesn’t need to worry about fronting a secure service. 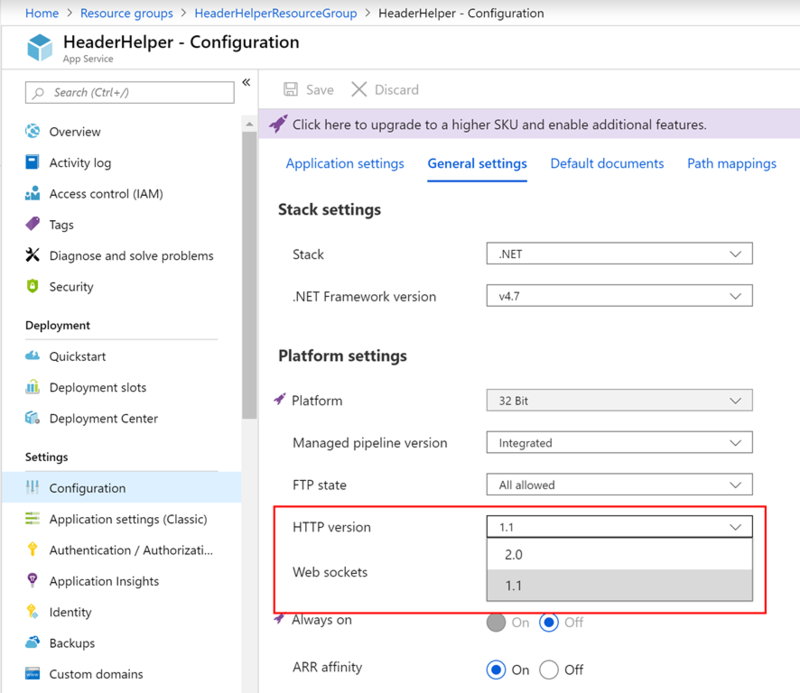 This is awesome for developers that want to add SSL or HTTP/2 to their existing services – you just enable the option in the configuration page of your App Service. 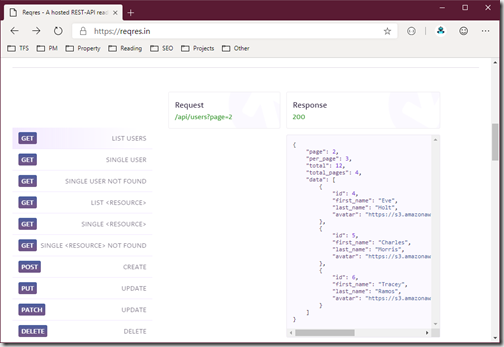 However, the down side is that it makes leveraging some of the underlying capabilities of HTTP/2 impossible – for example, it’s currently impossible to host a GRPC service in an App Service as this relies on HTTP/2 to function. 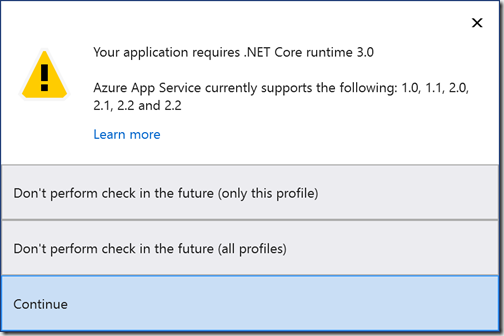 And there you have it – deploying an ASP.NET Core 3 application to Azure App Service and exposing it using HTTP/2. When I ran this in Visual Studio it launched the browser and did indeed return the headers and HTTP protocol version. 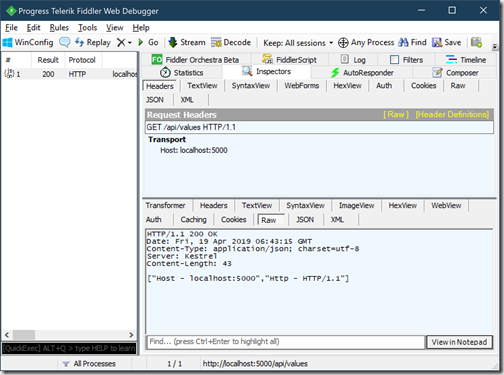 At this point I was a bit surprised as it return Http/2 even though I had done nothing either in the browser or the service to indicate that I wanted Http/2. 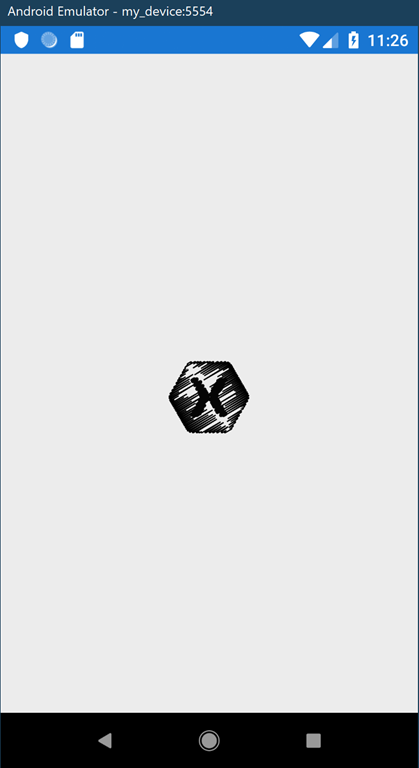 This was frustrating because this should have just worked. 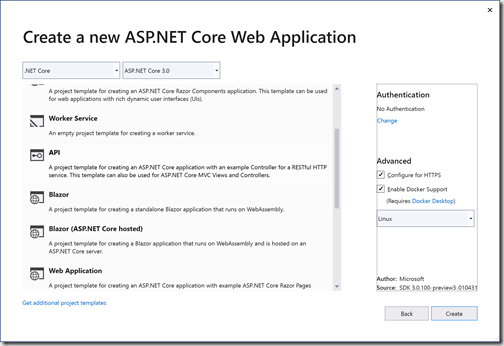 Furthermore there was no exception raised within my ASP.NET Core project. 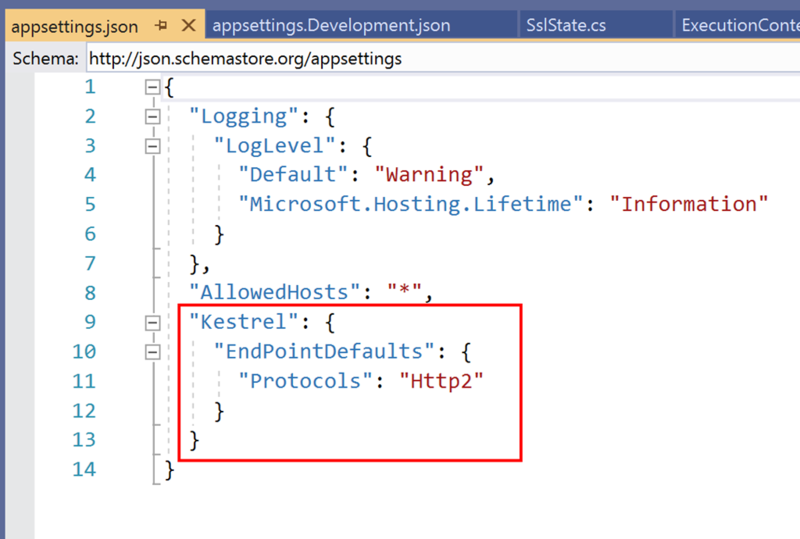 I was running my project on Kestrel which also was exposing a non-https endpoint, http://localhost:5000/api/values. 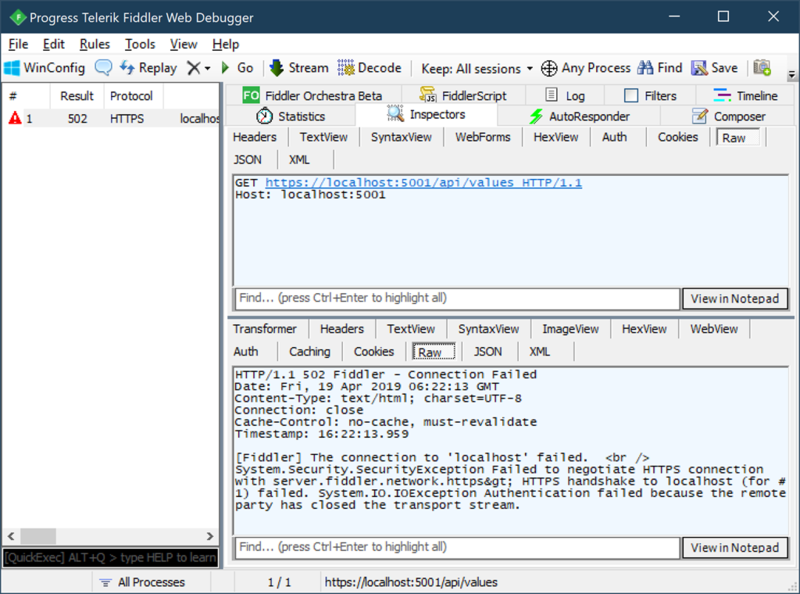 However, the Api template adheres to best practice and comes with the line “app.UseHttpsRedirection” in Startup.cs which caused the request from Fiddler to be redirected to https, which of course then fails as before. 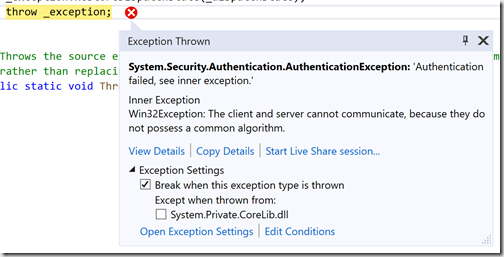 If I remove the redirection, the request again fails with the 502 exception. 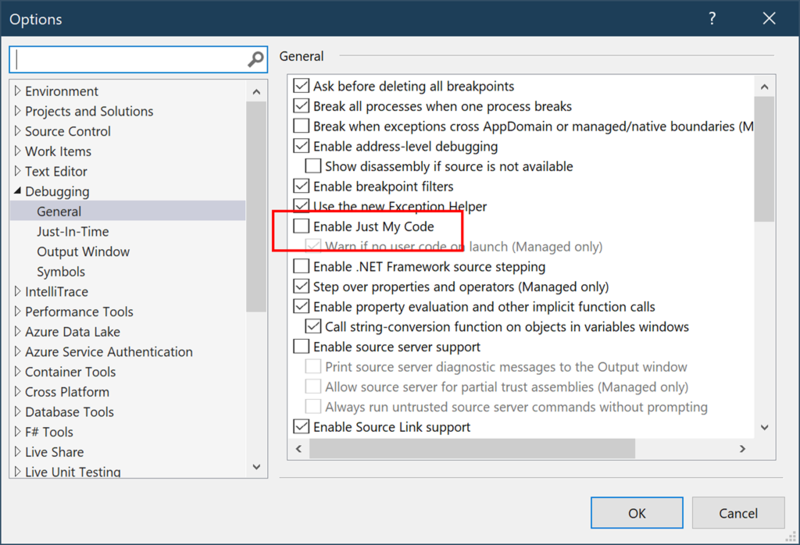 Luckily I’ve been in this situation and realised that whilst there’s no exception being raised in my code, there was most likely an exception being thrown internally as part of the ASP.ENT Core middleware. 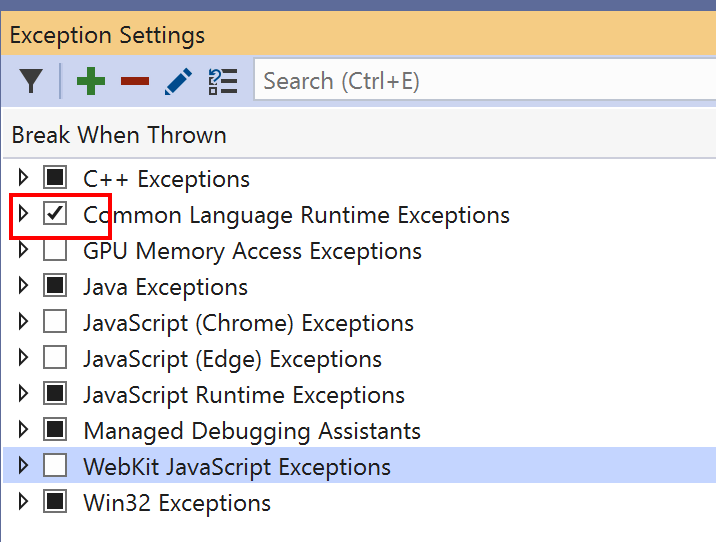 To investigate this further I firstly made sure that all "Common Language Runtime Exceptions would trigger a break in Visual Studio (you need to run the application in order to see this window by default, or you can open it from the Debug / Windows / Exception Settings menu item). 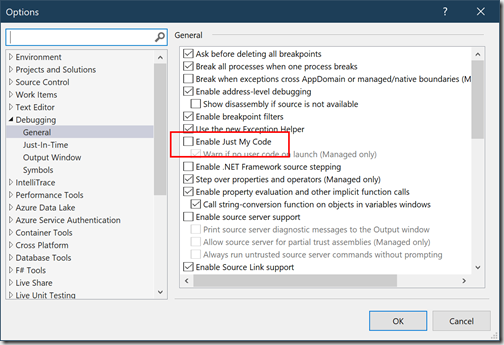 By itself this isn’t sufficient, you also need to uncheck the “Enable Just My Code” checkbox in Tools / Options menu item. 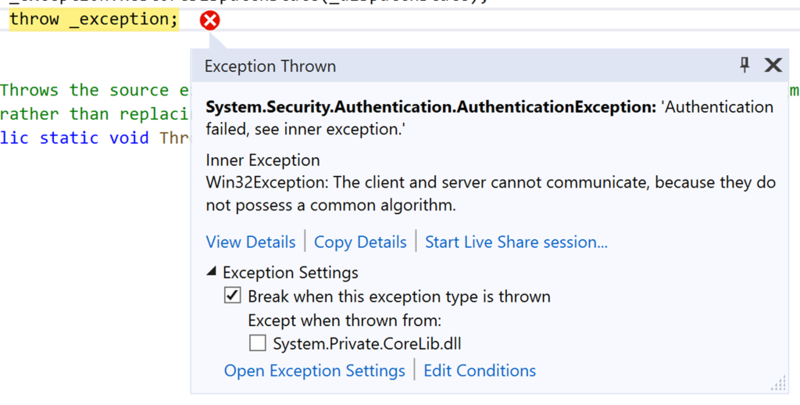 InnerException: Win32Exception: The client and server cannot communicate, because they do not possess a common algorithm. 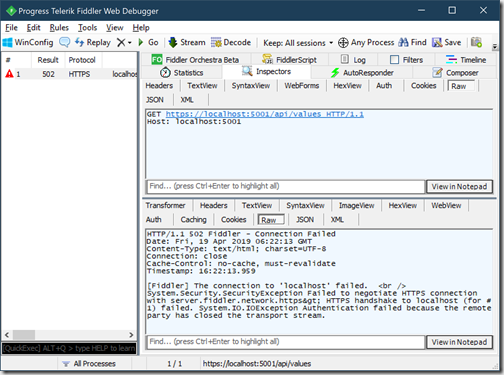 After a bit of investigation I realised that the combination of this exception and the 502 response returned to Fiddler was pointing to a miss-match between the protocols being requested and those supported. 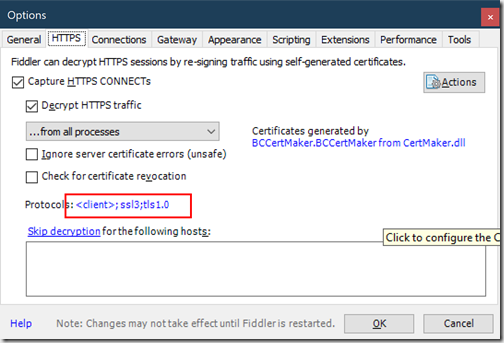 Out of the box Fiddler requests only support a very limited set of protocols for secure connections, shown on the Https tab in the Options dialog. 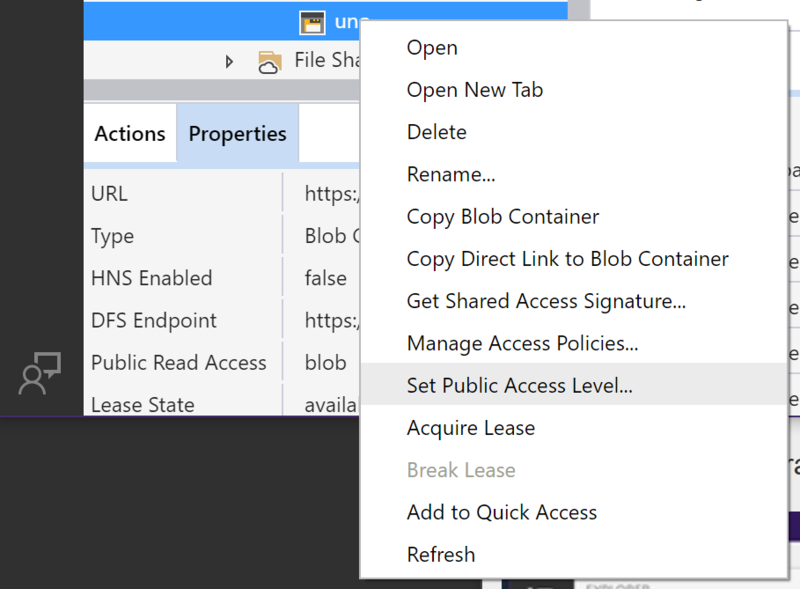 Clicking on the list of protocols allows you to edit them, in this case to include tls 1.1 and 1.2. 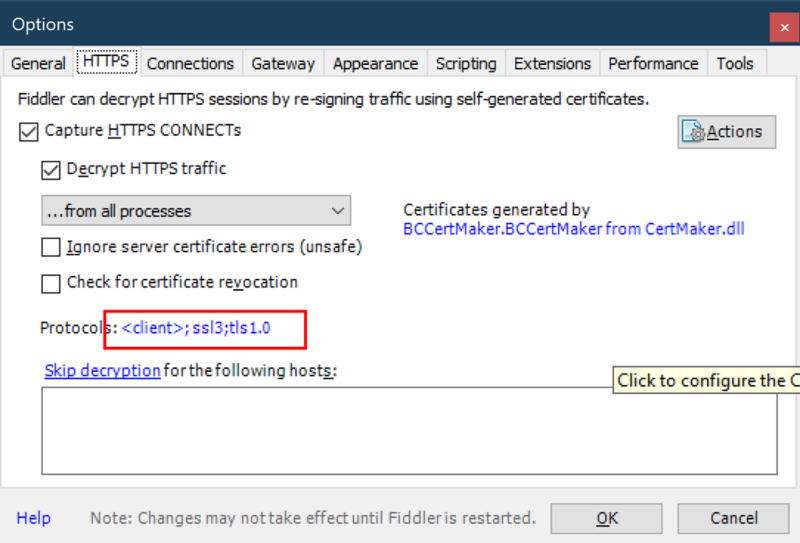 After applying this change I was able to execute the requests from Fiddler (in this case I’ve left the Https redirection off) and see that the Http protocol matches the 1.1 of the request. 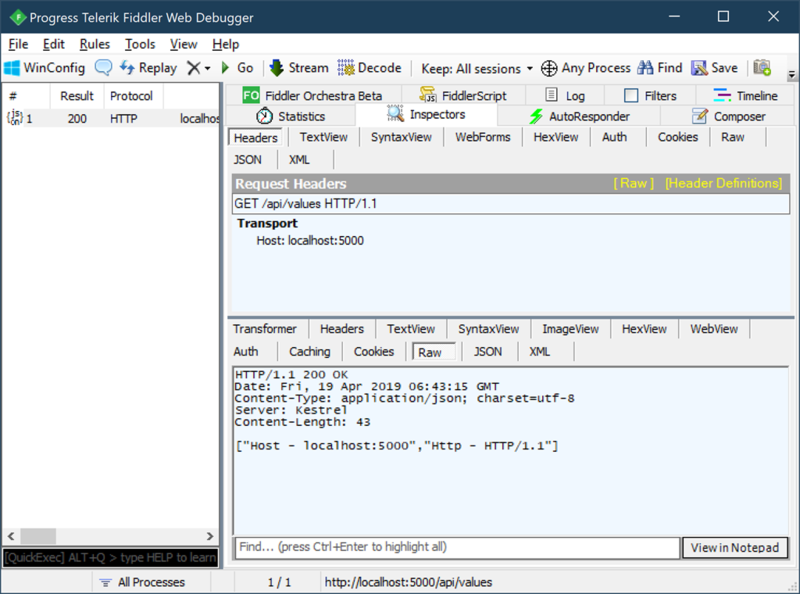 The truly annoying thing after all this effort, it would appear the Fiddler doesn’t appear to actually support Http/2, despite there being a dropdown on the Compose tab for it. 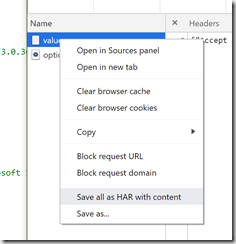 Using the Http/2.0 option causes exceptions to be raised within the ASP.Core application. 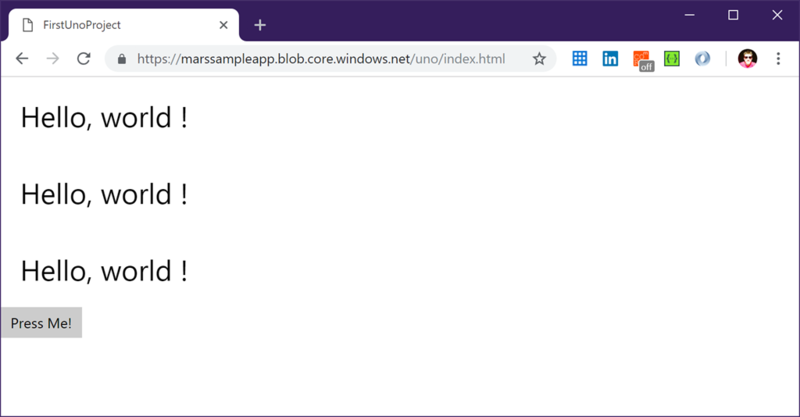 Furthermore this seems to be consistent with what happens if you attempt to intercept requests coming from Chrome (they get reverted to HTTP/1.1) and this post. 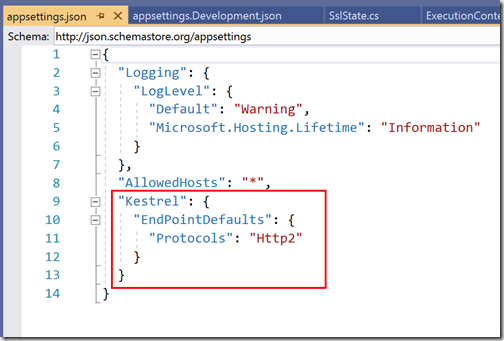 At this point it’s also worth having a read through the ASP.NET Core 3 information on Kestrel hosting, specifically the part that talks about http/2 support. In your appsettings.json you can adjust whether you want Http1, Http1AndHttp2, or just Http2 support. Note that the –v option for curl shows verbose information, whilst –k is required when connecting to Kestrel on local machine since the default developer certificate isn’t trusted. 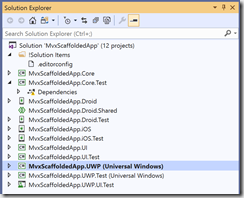 One of the current limitations of the Xamarin.Forms implementation of the Visual State Manager (VSM) is that it only works for setting properties on an individual control. 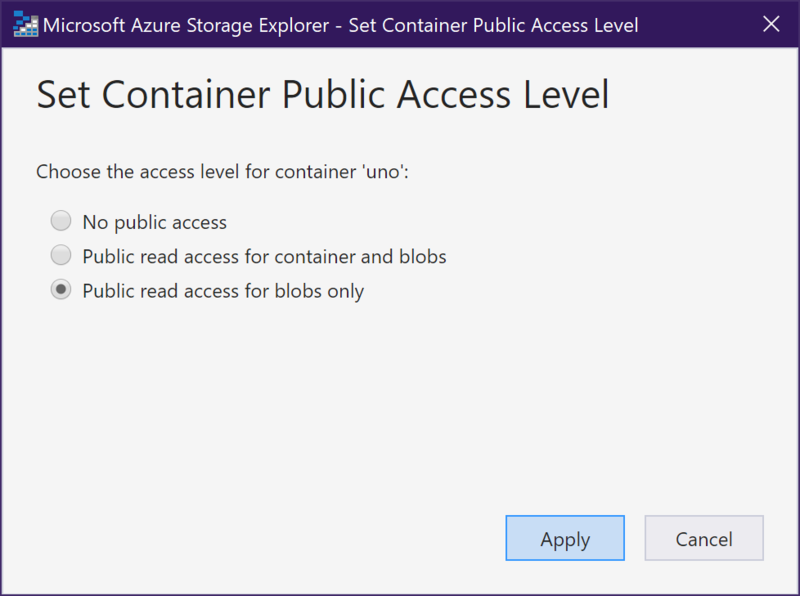 Whilst this is great for control state management (think button states like disabled, pressed etc), its incredibly limiting and makes it unsuitable for some typical visual state scenarios. 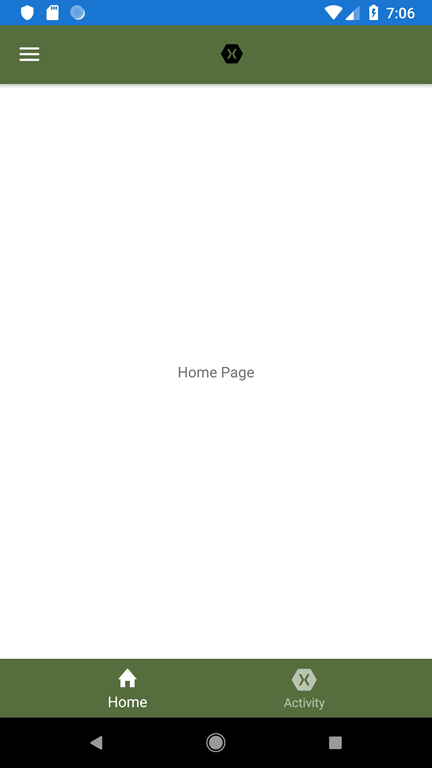 The one that often comes up in a mobile application is for pages that load data. 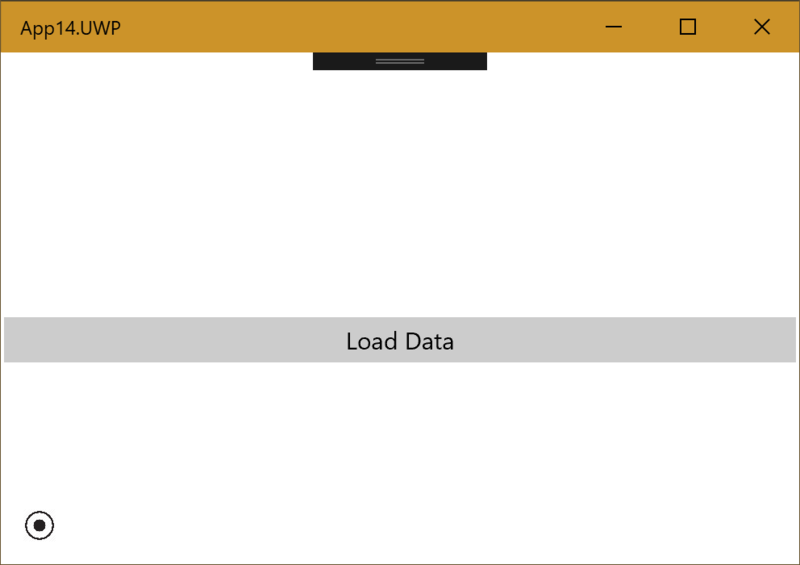 In this scenario you typically have a least three states: Loading, DataLoaded, DataFailedToLoad. 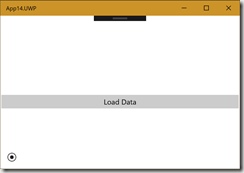 In some cases you might even extend this to have states such as Refreshing or LoadingMoreData. 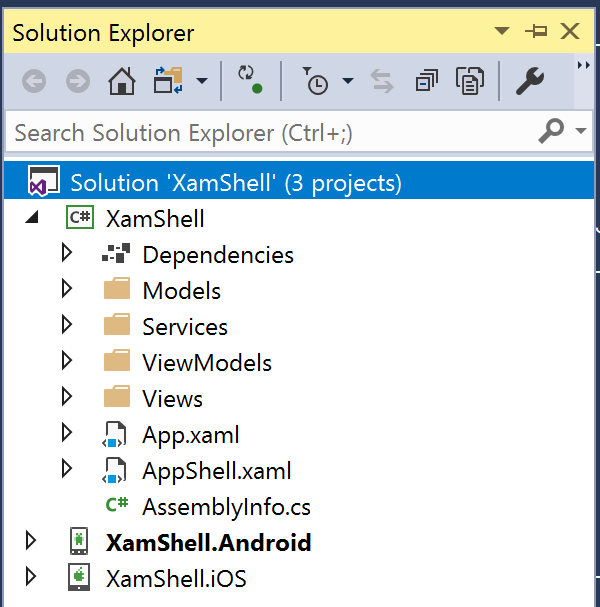 For these states you probably want to show/hide different elements on the screen, which is why the current Xamarin.Forms implementation of the VSM isn’t a great option. 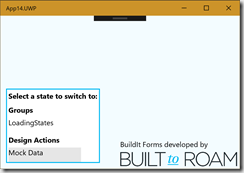 Hopefully you can see from this short post how you can leverage the BuildIt.Forms Visual State Manager to do complex page state management as well as animations. 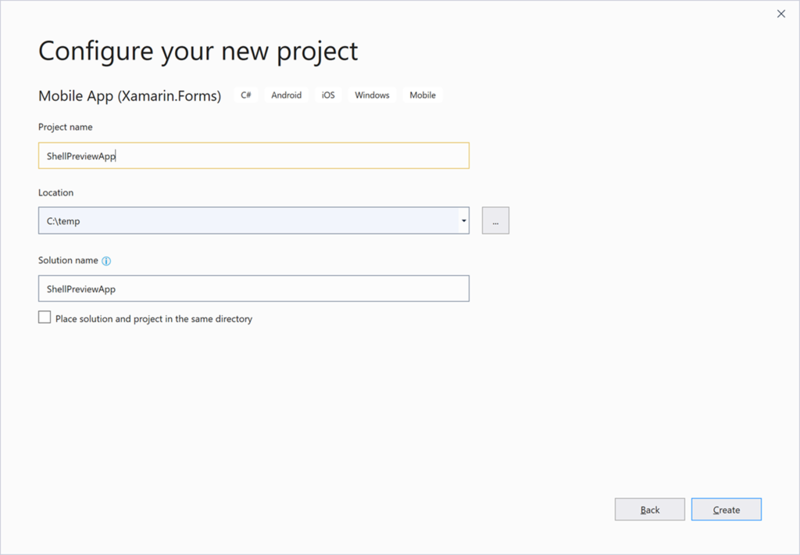 We’ve just released a new beta package compatible with the latest Xamarin.Forms v3.6 and would love feedback (https://www.nuget.org/packages/BuildIt.Forms/2.0.0.27-beta). 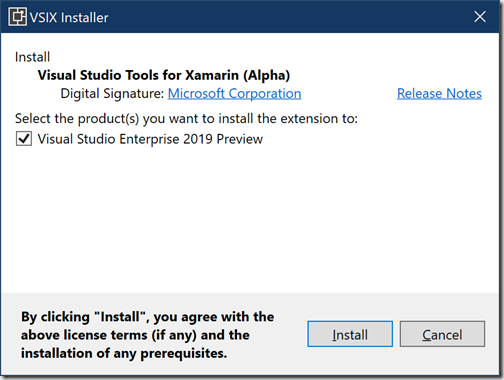 I just noticed that the Uno Visual Studio Extension has been updated, so I figured I’d give it a go in Visual Studio 2019. 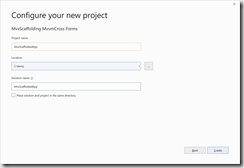 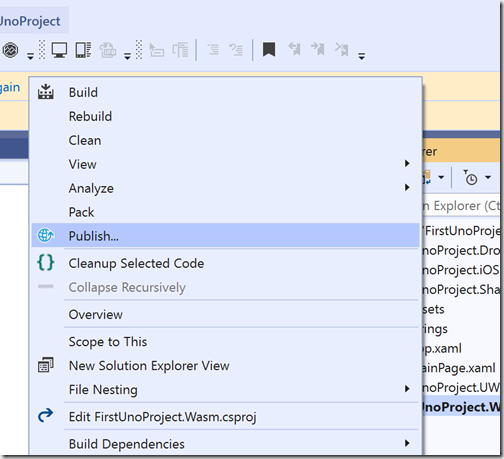 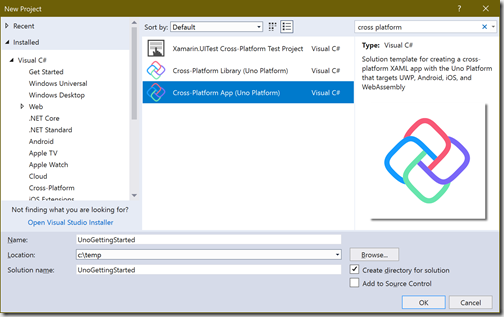 After installing the extension I used the new startup dialog on Visual Studio to “Create a new project”. 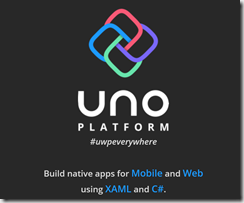 I searched Uno but Cross-Platform or any of the target platforms would show you the templates. 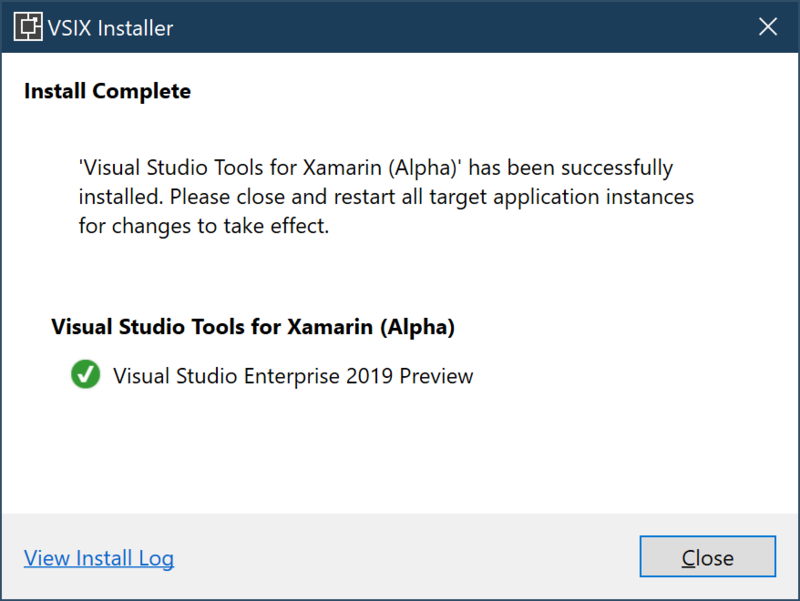 Seconds later I had a brand new solution with five projects giving me the ability to target iOS, Android and Wasm all from the code I write in a UWP app. Selecting the Wasm project I set it as the startup project and hit F5 to run. 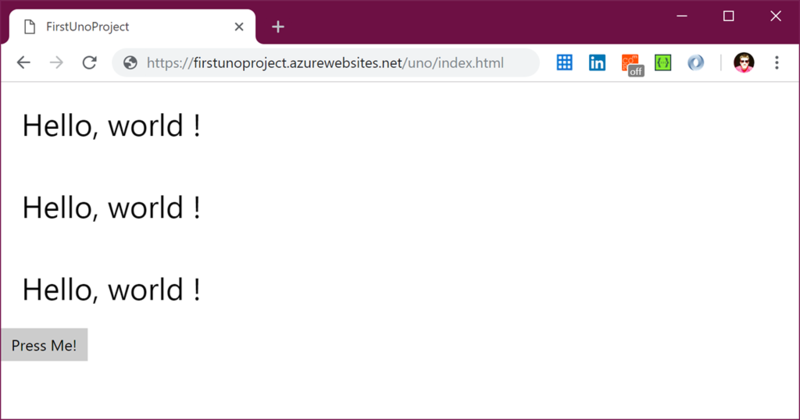 After a few minutes of building (the first build is slow as it downloads packages etc) it launched Chrome with my fancy Hello World project running. 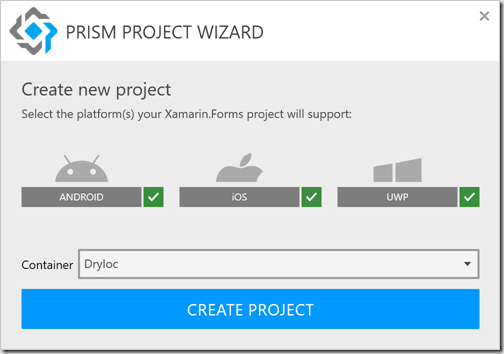 Note: Small confession that I had to run the project twice because the first time failed without error. On second attempt it ran successfully. 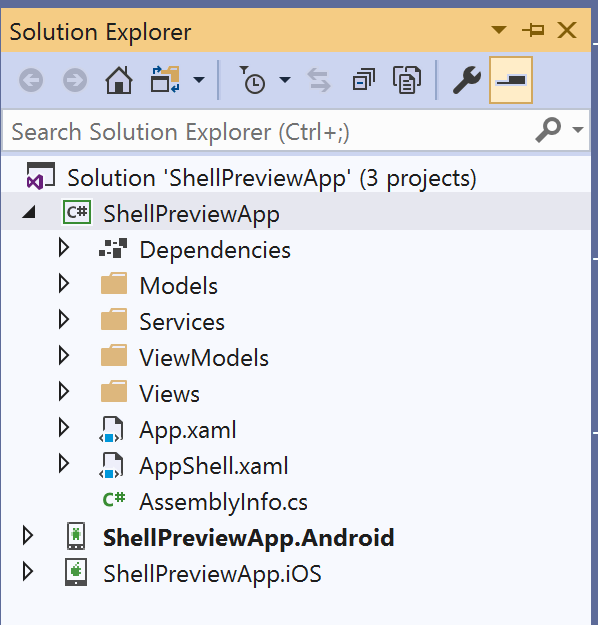 However, it’s been a bit hit and miss in terms of getting it to run. 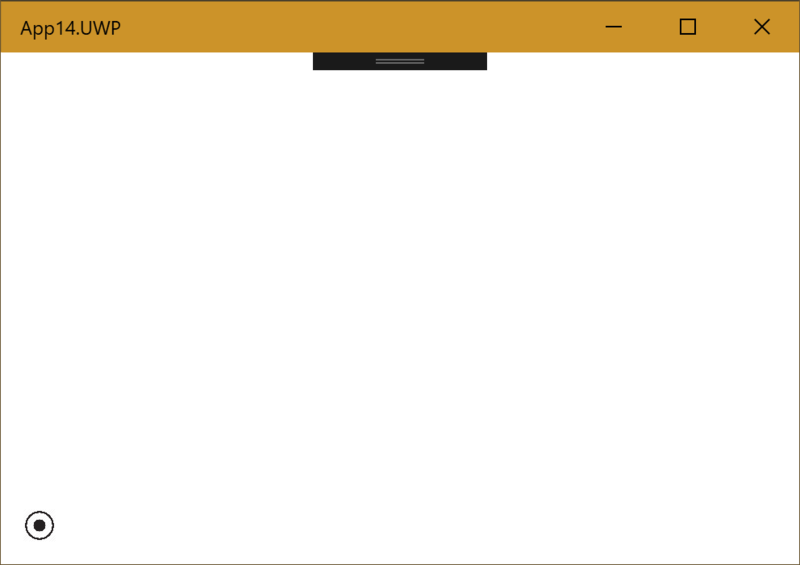 I added “<MonoRuntimeDebuggerEnabled>true</MonoRuntimeDebuggerEnabled>” to the csproj file and that seems to have got it to run more reliably. 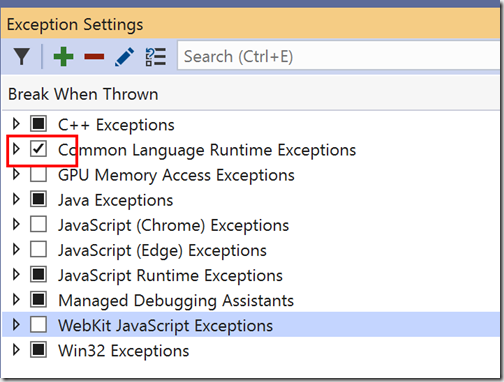 Now tell me you don’t expect this to work on the web, right? 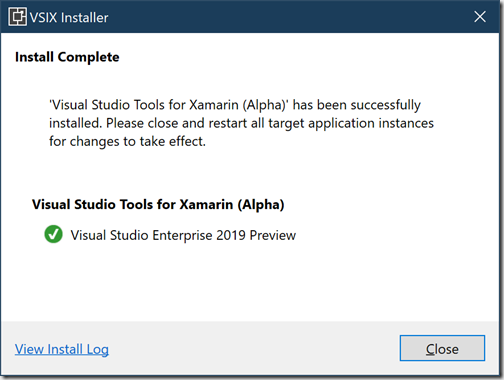 Sure enough works a treat. 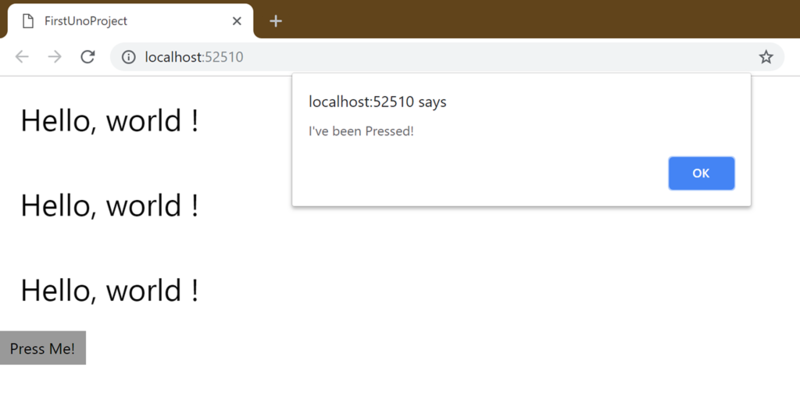 It’d be great if the message box had “Pressed” as the title instead of “localhost:5210 says” but I’m still mind blown that this still works? 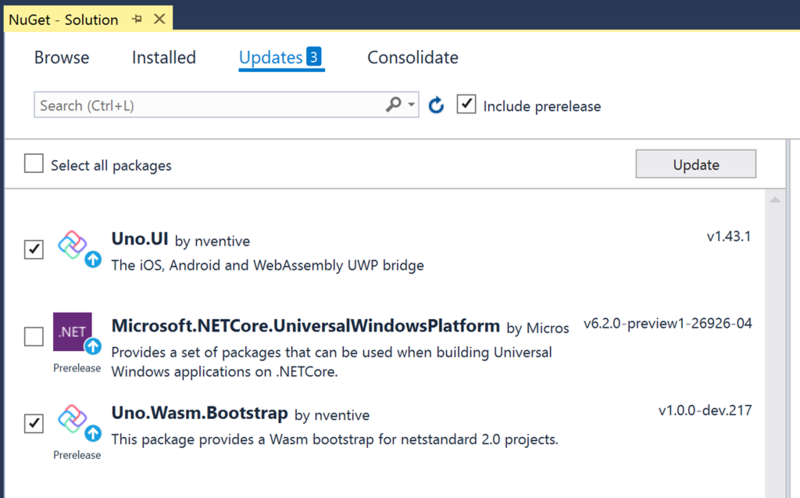 One thing to be aware of is that I’ve had some mixed experiences with Wasm as the resoluts seem to vary depending on which combination of Uno packages are referenced. 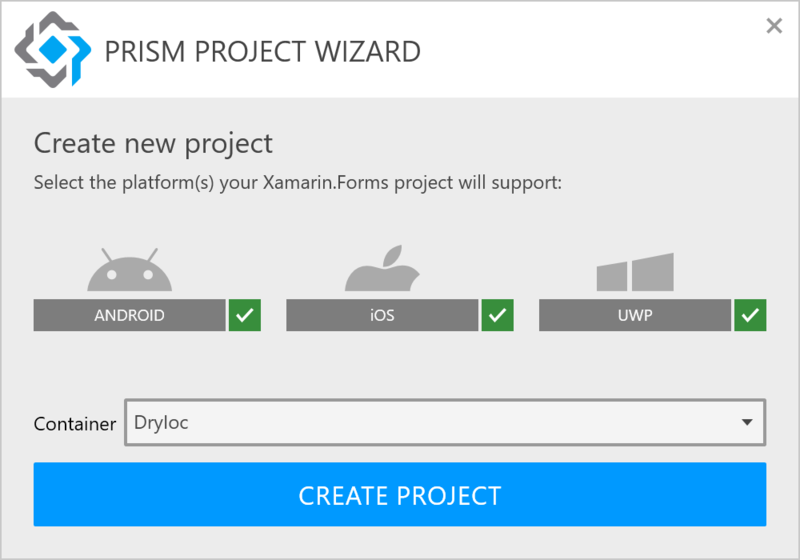 This is definitely a work in progress but I feel that this is probably in line with where WebAssembly support is at across the board. 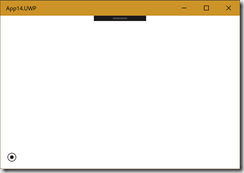 This XAML shows two Visual States, “Small,” hides the MainContent StackPanel, and “Large” which has no setters, so is the default states of the page. 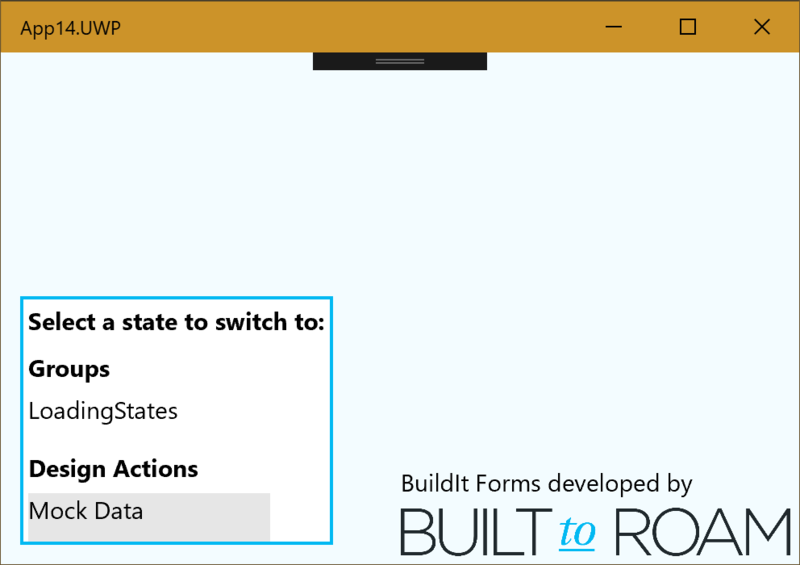 I’ve added an AdaptiveTrigger to both states for clarity. 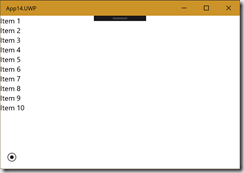 The “Small” Visual State for window sizes from 0; The “Large” Visual State for window sizes over 1000. 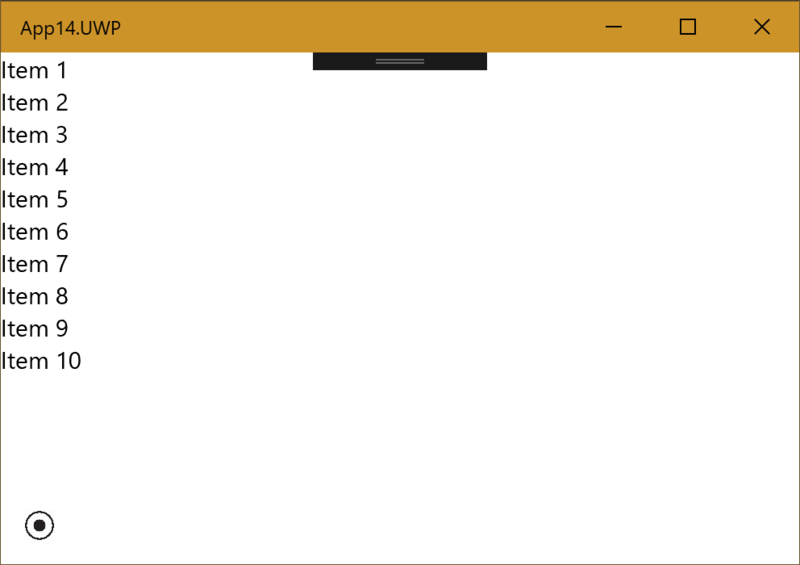 Whilst this is a relatively simple example, when I build and run this, it not only works on UWP (expected) but also on Wasm. 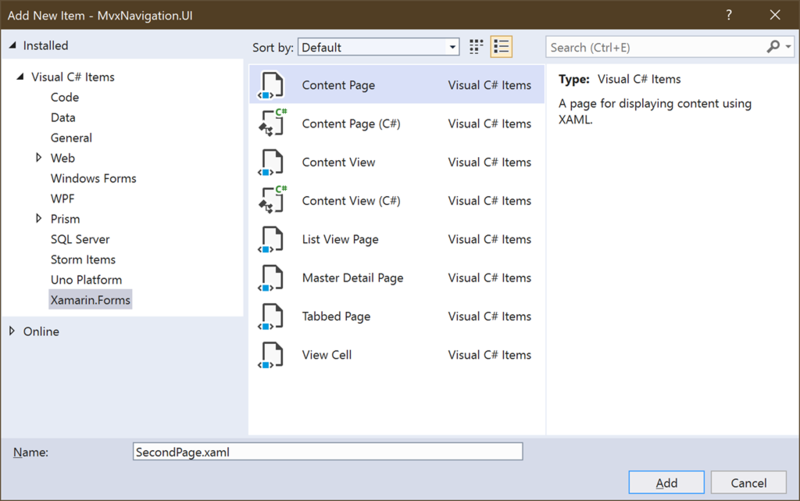 The image below shows the output – the red text has been added afterwards to indicate which Visual State the page is in. Serious props to the Platform Uno team, this is awesome. 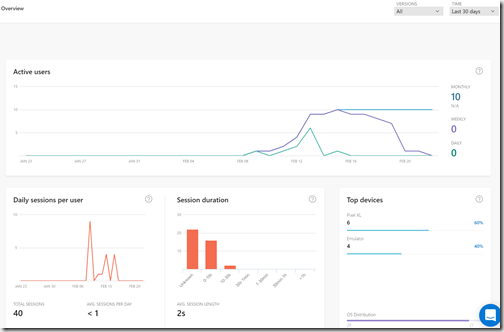 This year I was lucky enough to be able to present at MS Ignite | The Tour, which has just concluded here in Sydney. 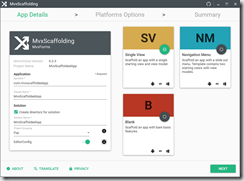 What amazed me was that I got to present on a fledgling technology recently released by Google, Flutter. 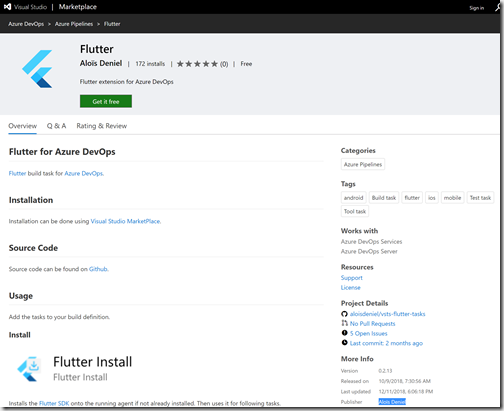 Of course, this by itself wouldn’t have been sanctioned at a Microsoft event, so the important part was that I was presenting on connecting Flutter to Azure, and highlighting just how powerful the Azure options are for mobile app developers on any platform. 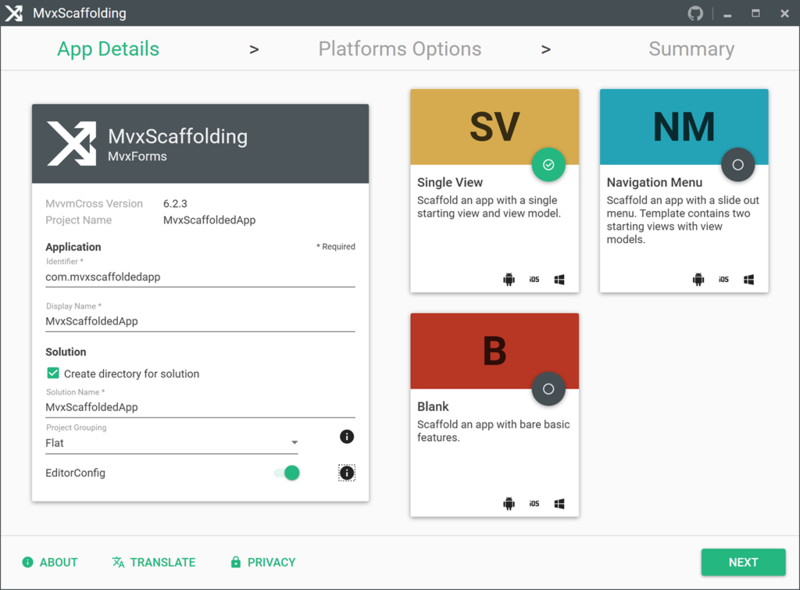 Flutter is one of the newest cross-platform mobile application development frameworks and brings with it the ability to generate high-fidelity applications that look amazing on every device. 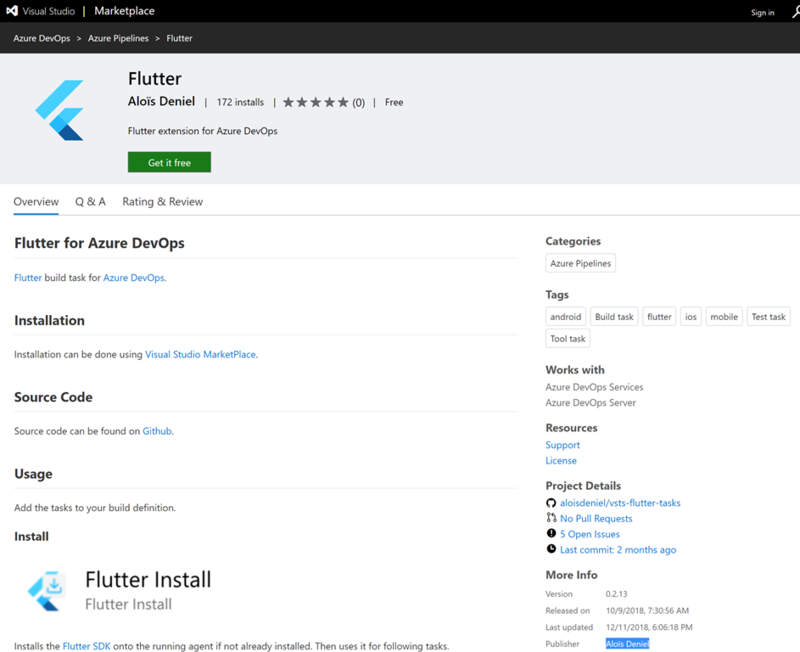 This session begins with a very brief overview of Flutter, covering the tools and resources required to get started. 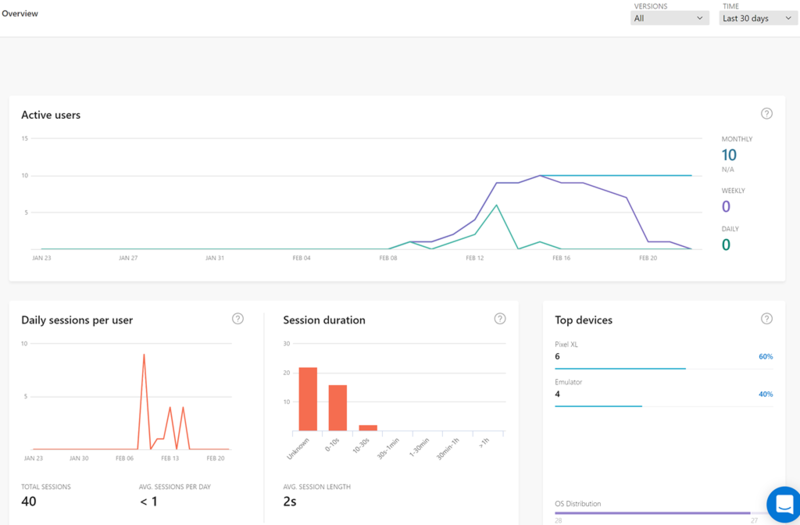 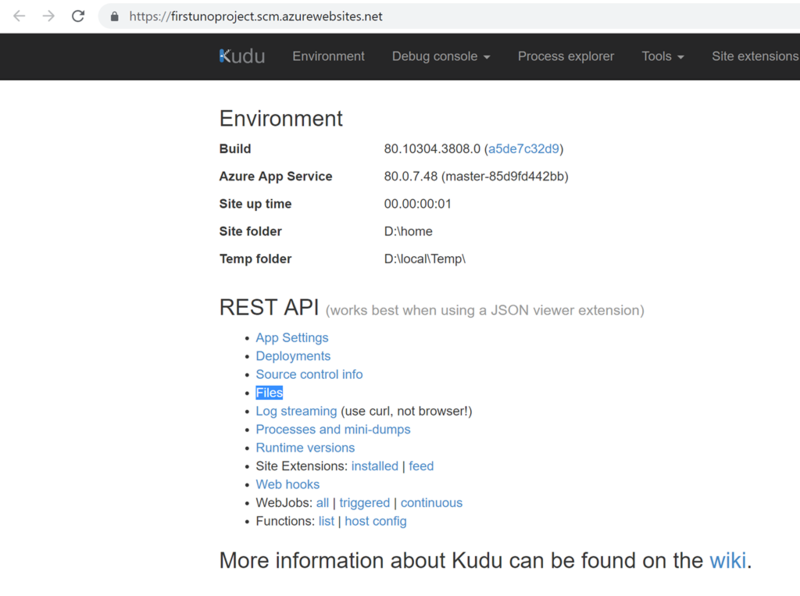 The remainder of the session connects a Flutter application to key Azure services such as Identity and App Center. 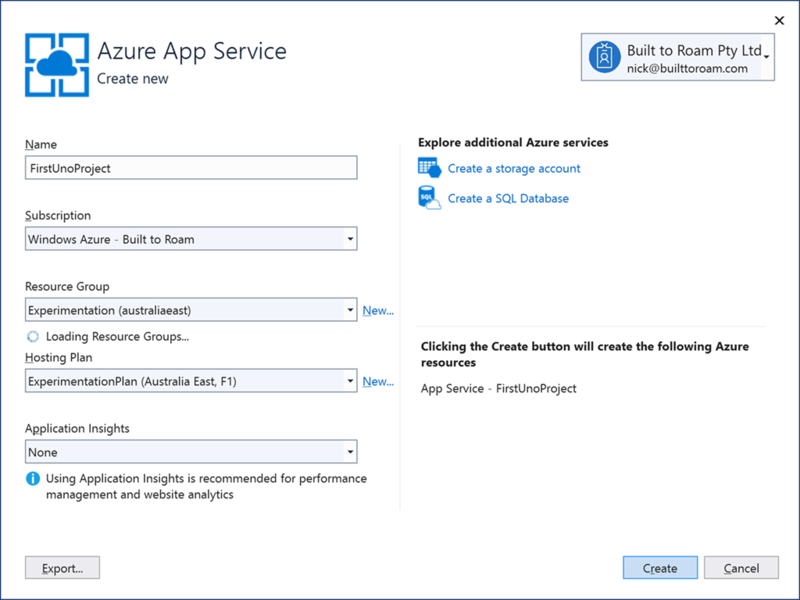 The key takeaway from this session is how Azure accelerates the development of mobile applications irrespective of what technology or framework the app is developed with. 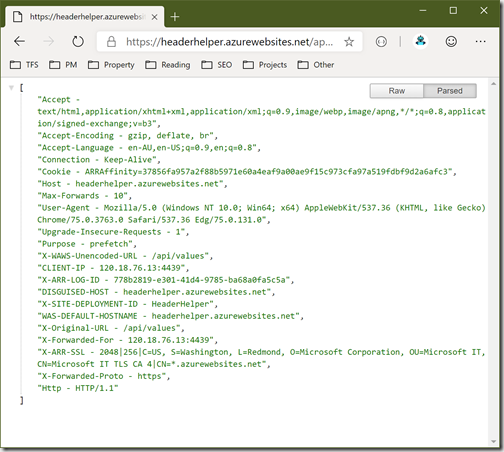 In this post I’m going to walk through the demo portion of the session, which revolved around the creation of a very simple task style application. 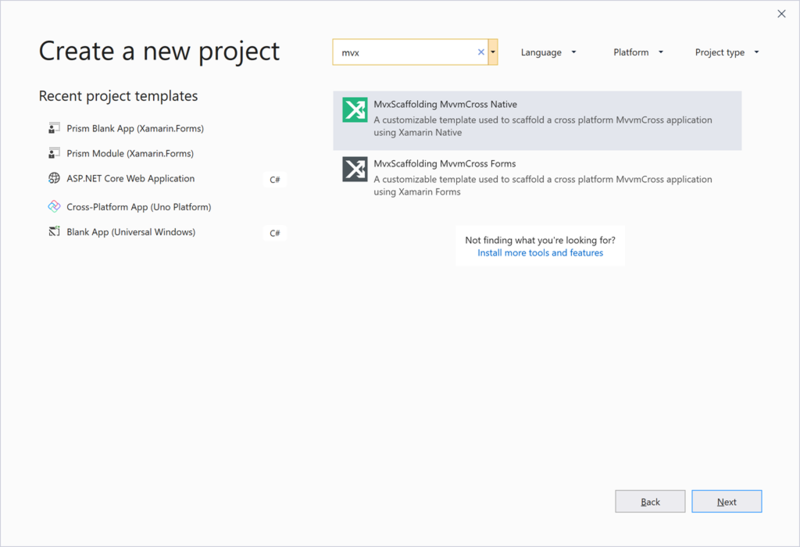 Let’s get started by creating a new project in VS Code (If you haven’t already got the Flutter SDK installed, go to https://flutter.io and follow the Get Started button in top right corner). 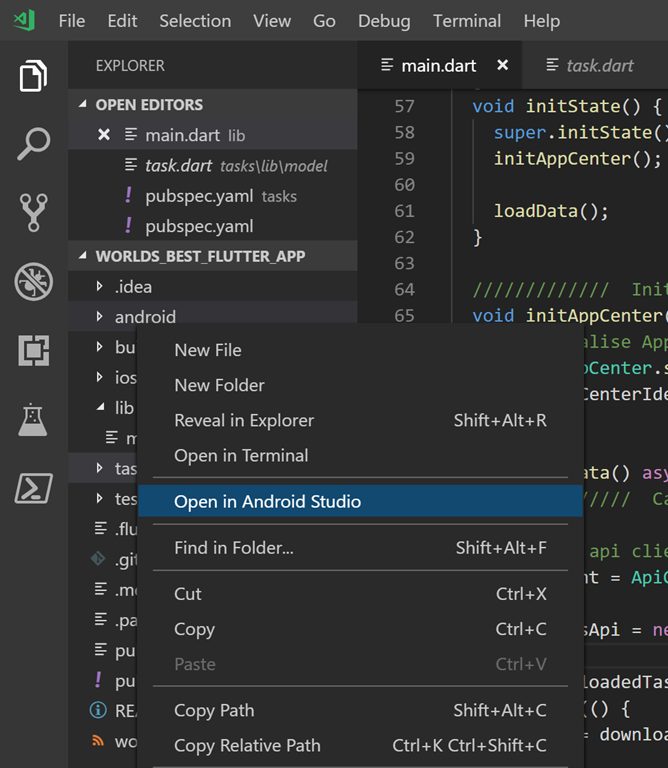 In VS Code in you press Ctrl+Shift+P and type Flutter you’ll see all the available options. 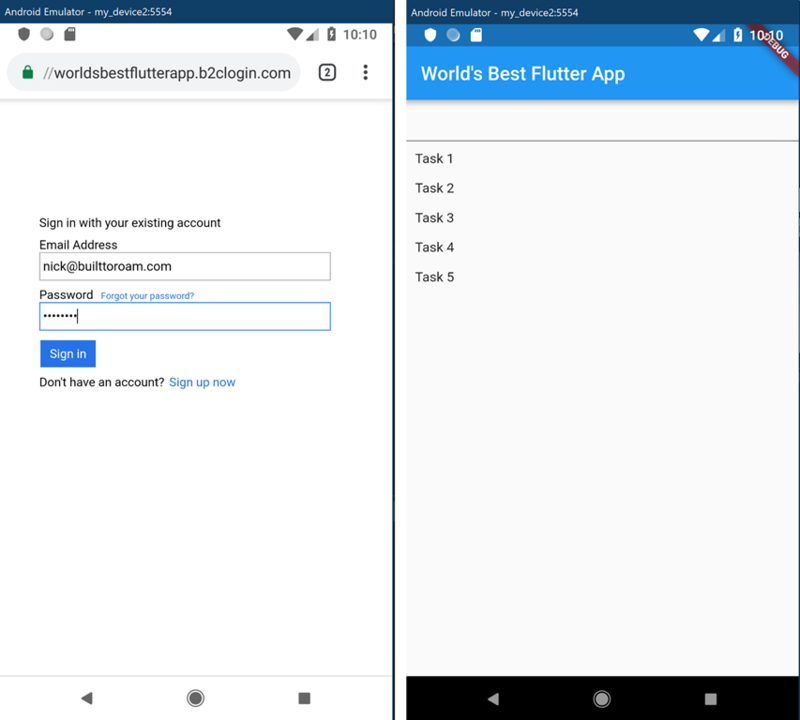 Select “Flutter: New Project” and you’ll be prompted to give your project a name – I was short on inspiration for a name for the project, hence “World’s Best Flutter App”. Note that the name of your project needs to be all lowercase. 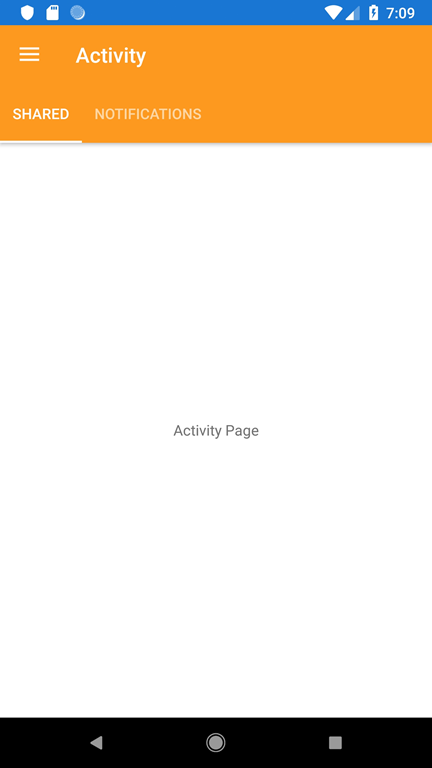 At this point we have a working app where a user can enter a task and it’s added to a list of tasks that is presented in the lower area of the screen. 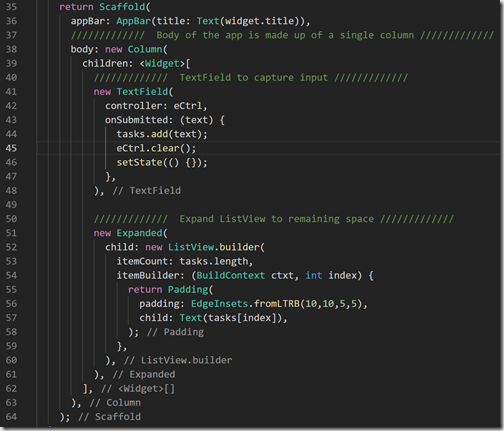 There are plenty of online tutorials etc that talk about layout and how setState works so I’m not going to cover that here. 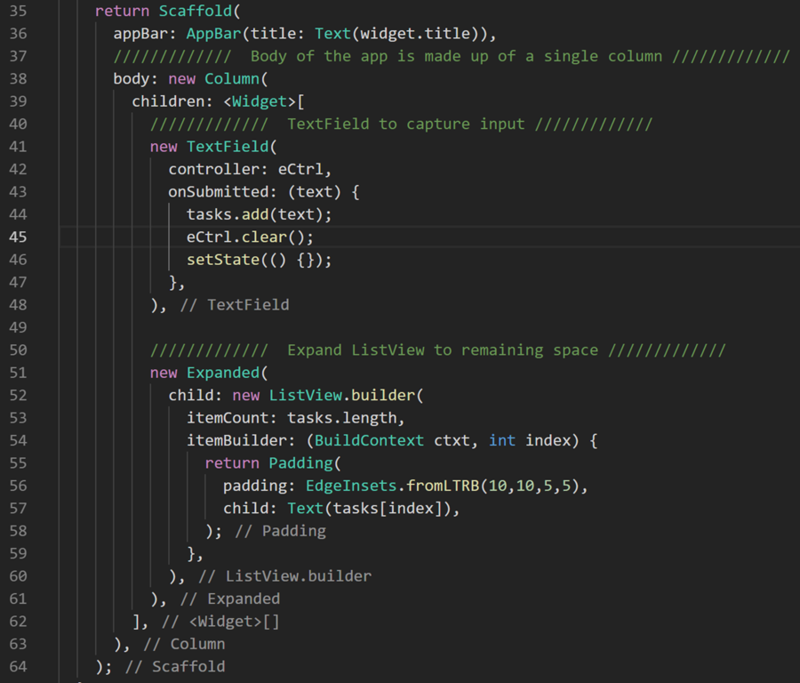 If you’re unfamiliar with Flutter/Dart code I would suggest at this point taking the time to go and understand what’s going on in the code – we’re going to build on it, so it’s important you understand how things work before we move on. 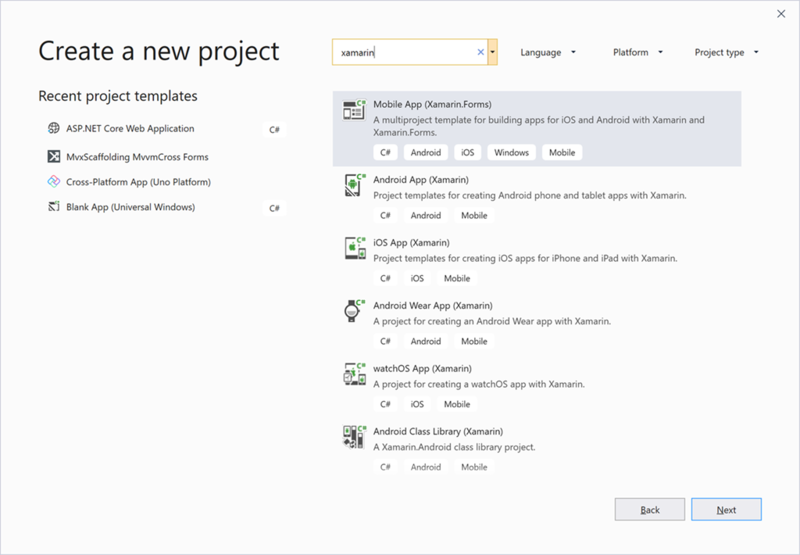 Before adding any more functionality to the app, I want to first take a side step to discuss the use of Visual Studio App Center which has been specifically created by Microsoft to support app developers, providing capabilities for building, testing, distributing apps, along with services such as analytics, crash reporting and push notifications. 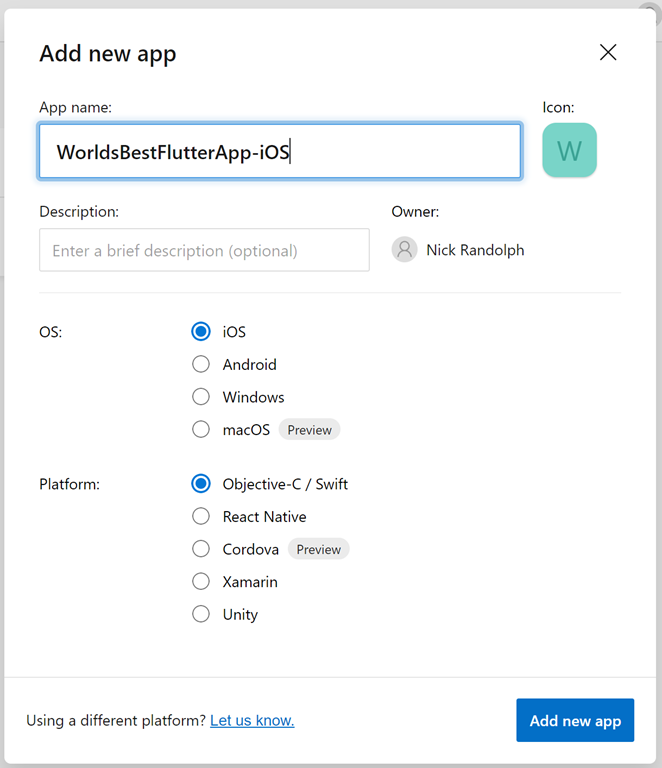 Currently support for Flutter is via a third party plugin which only provides analytics and crash reporting but we can expect this to grow as more developers take on Flutter and put pressure back onto Microsoft to provide official support, similar to what’s already provided for React Native and other cross platform technologies. 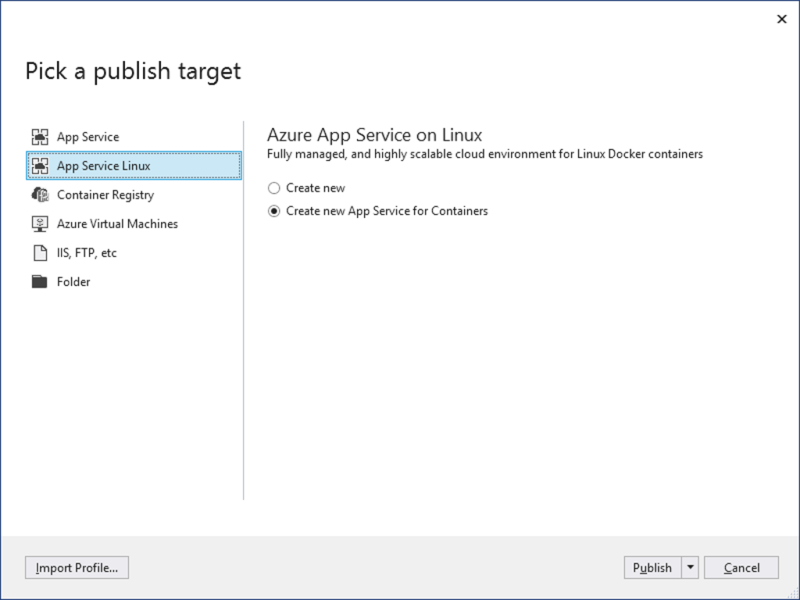 In the Add new app flyout, you need to provide an App name and provide information about the OS and Platform – these are more important if you’re going to use App Center to build the application but is also relevant to the distribution process, so it’s important that you set these correctly. 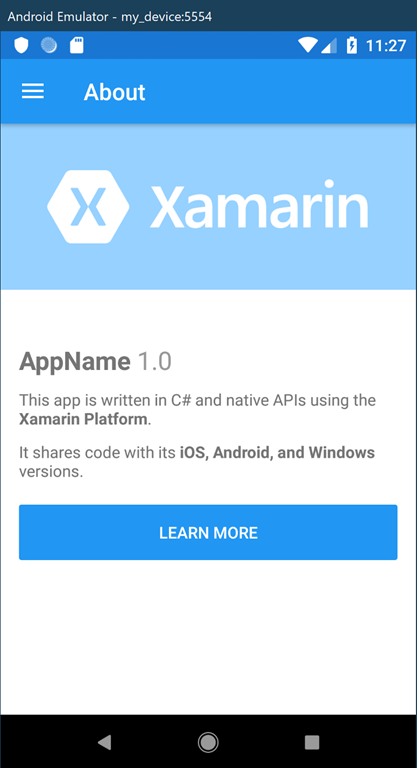 Since the App name needs to be unique within your App Center instance, it makes sense to use some sort of platform identifier as part of the name so it’s easy to identify the iOS and Android apps in the list. 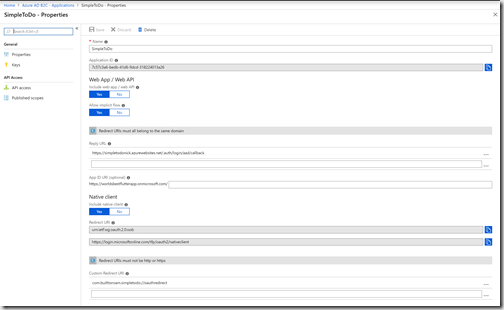 Including the ability to drill down into the event and see more information, in this case you can see the List item that were added to the task list – note that this is an application specific key-value combination specified as part of the call to trackEvent. 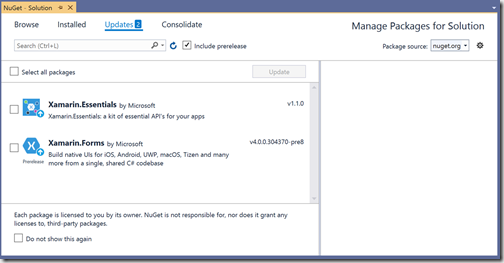 After adding this extension to your Azure DevOps tenant, you can easily setup a build and release pipeline – there are a few steps involved in this, so I’ll keep this for a follow up post. 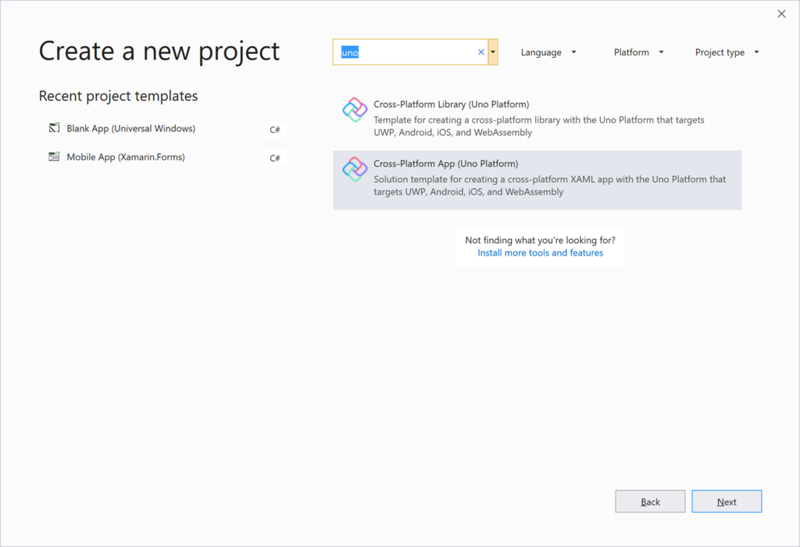 The build steps involve tasks for Installing Flutter, Building the app with Flutter, Copying the generated app to the artefacts folder and the Publishing the artefacts. 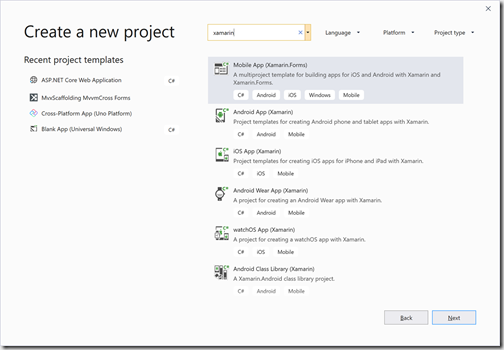 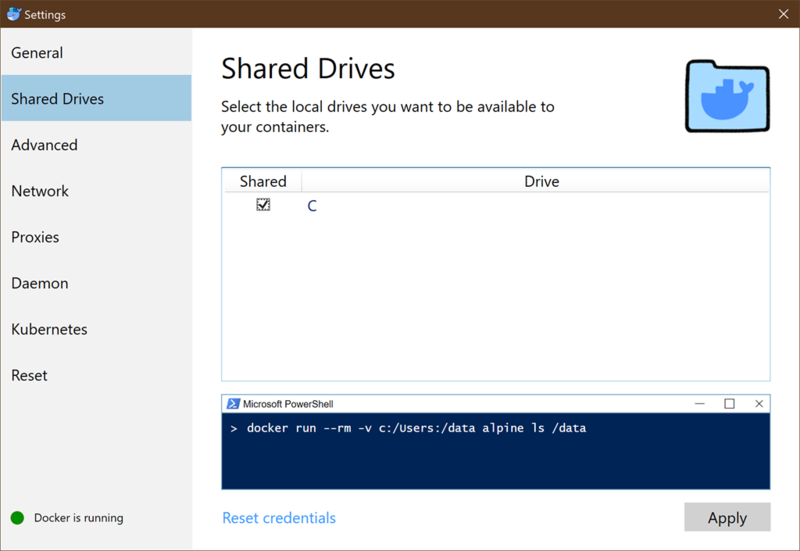 The release steps simply involves uploading the generated app to App Center. 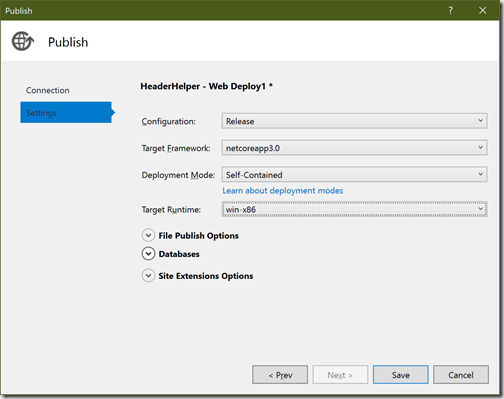 You can of course adjust these to add functionality and perhaps target different environments for testing, and of course uploading to the relevant stores directly from your release pipeline. 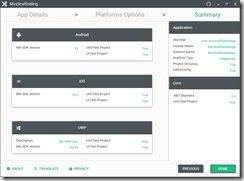 If you open App Center on your iOS or Android device you can install each release for testing. 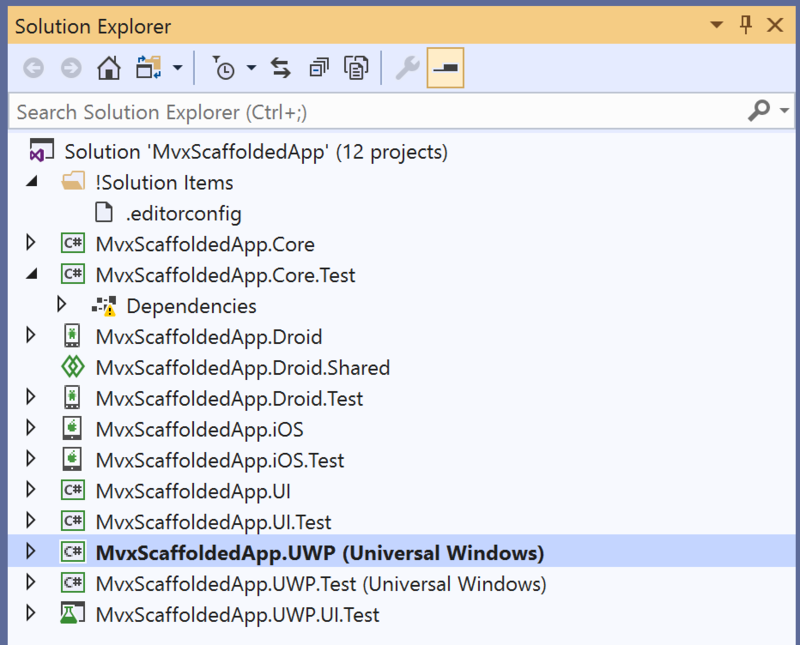 Right now we actually have a pretty useless app since all it does is record tasks in memory. 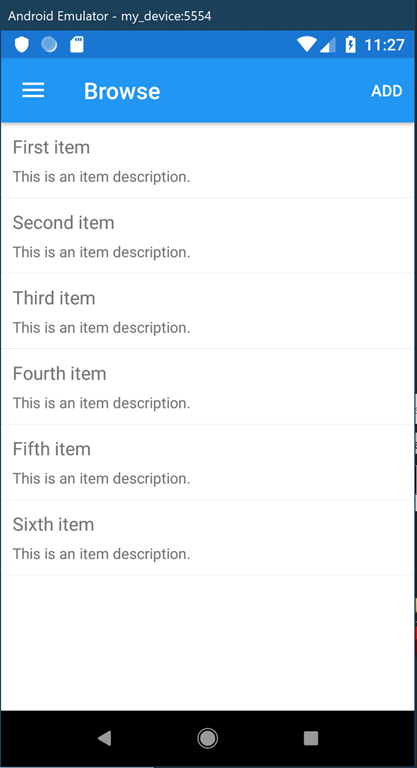 When you restart the app, your list of tasks will be gone. 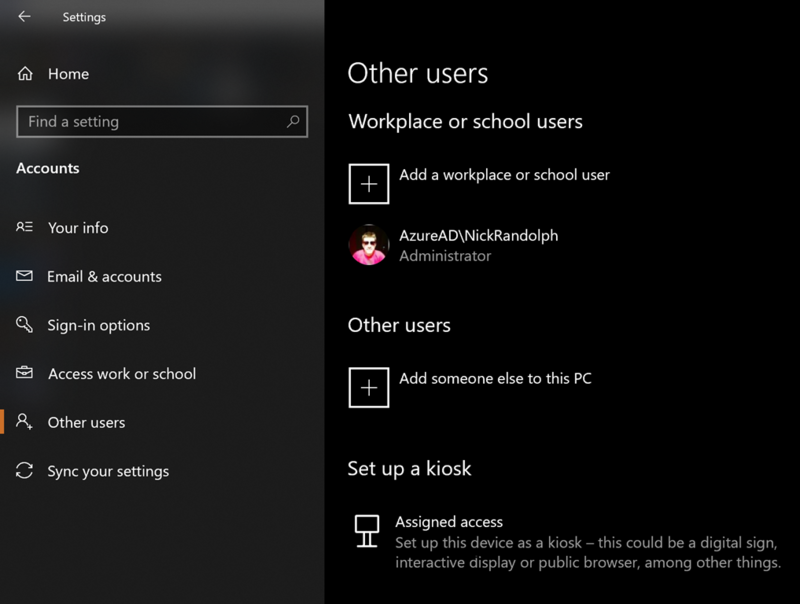 Plus there’s no way to have your list of tasks appear on another device etc. 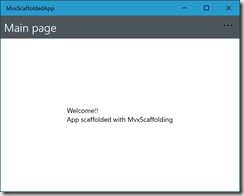 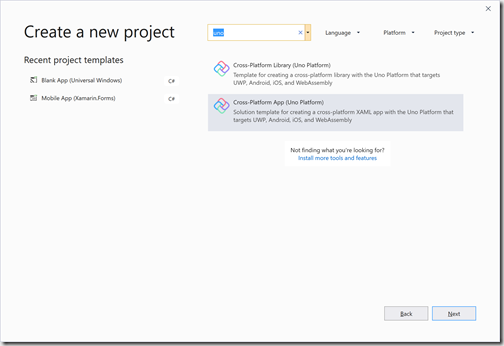 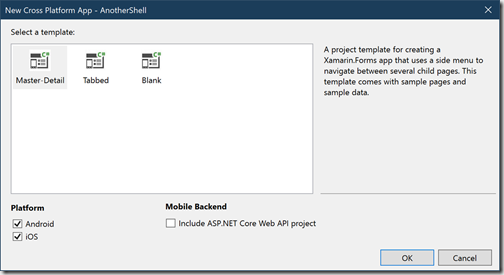 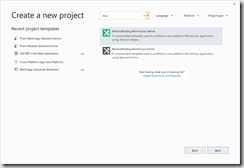 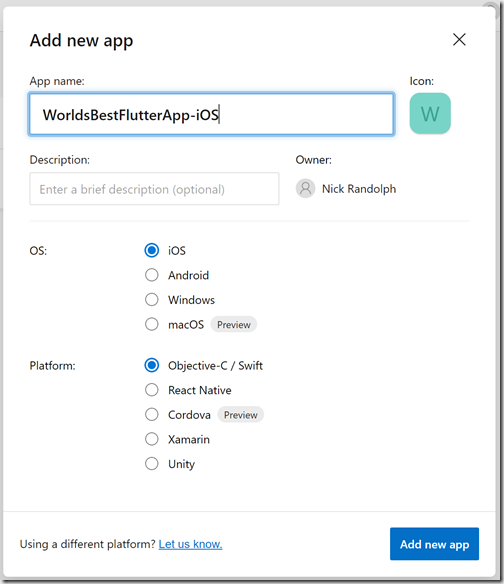 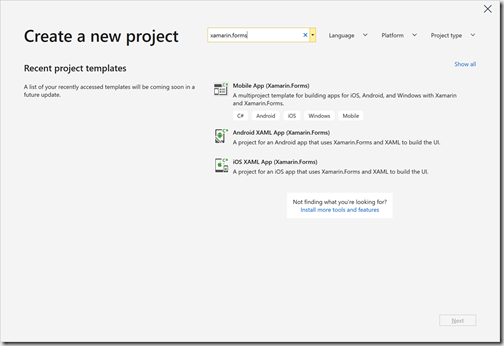 We’re not going to complete the entire app in the blog post but what we do want to do is show how easily you can connect a Flutter app to some backend services hosted in Azure. 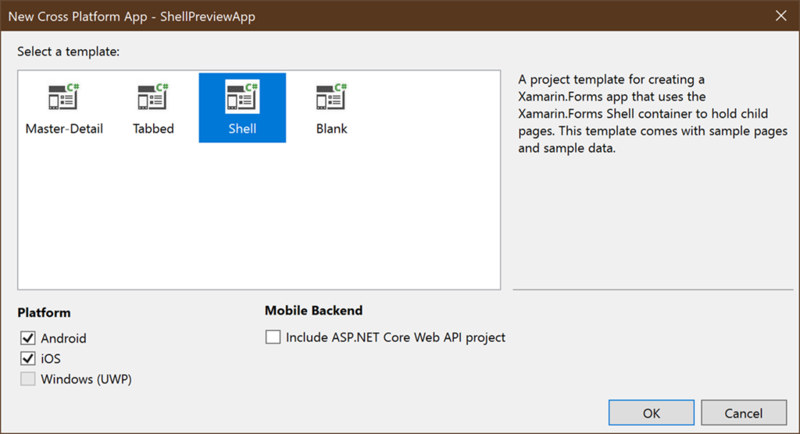 First up, let’s take a look at the backend service we’re going to connect to. 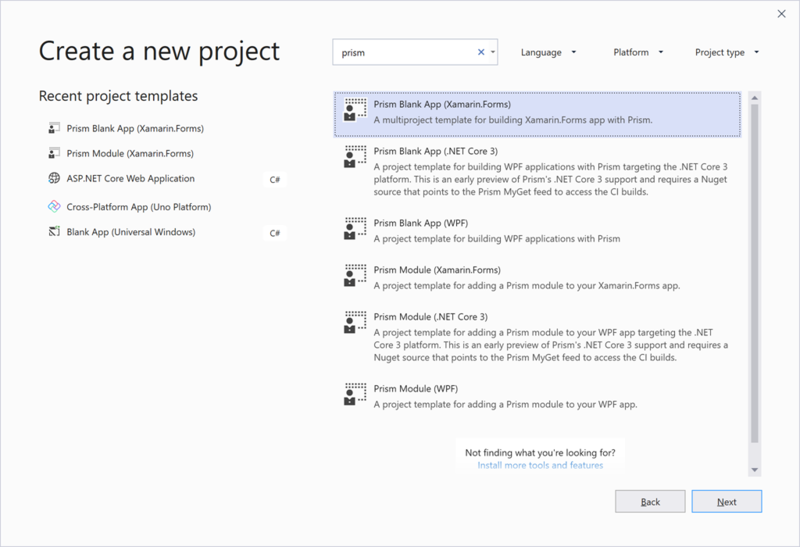 In the demo I used an ASP.NET Core application that was published to an Azure App Service but I could just have easily used a Functions app. 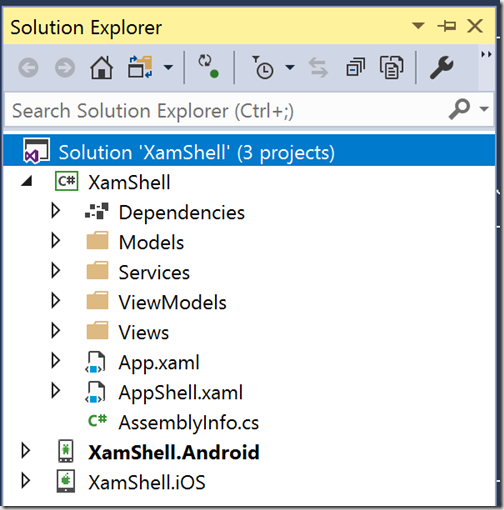 The application consistent of a single controller that currently only supports a Get operation to retrieve a list of tasks, which for the moment are hardcoded. 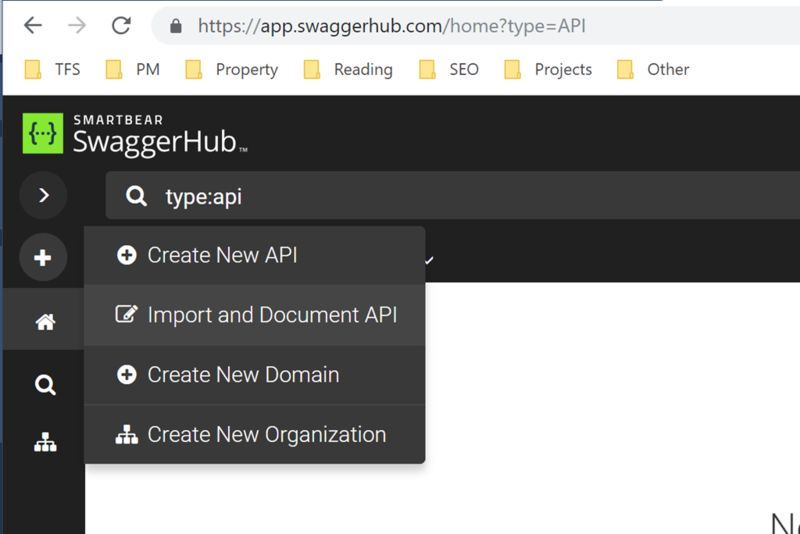 After hitting Import SwaggerHub will convert your json formatter swagger into YAML – we’re not really interested in this piece, since what we’re after is some generated Dart code. 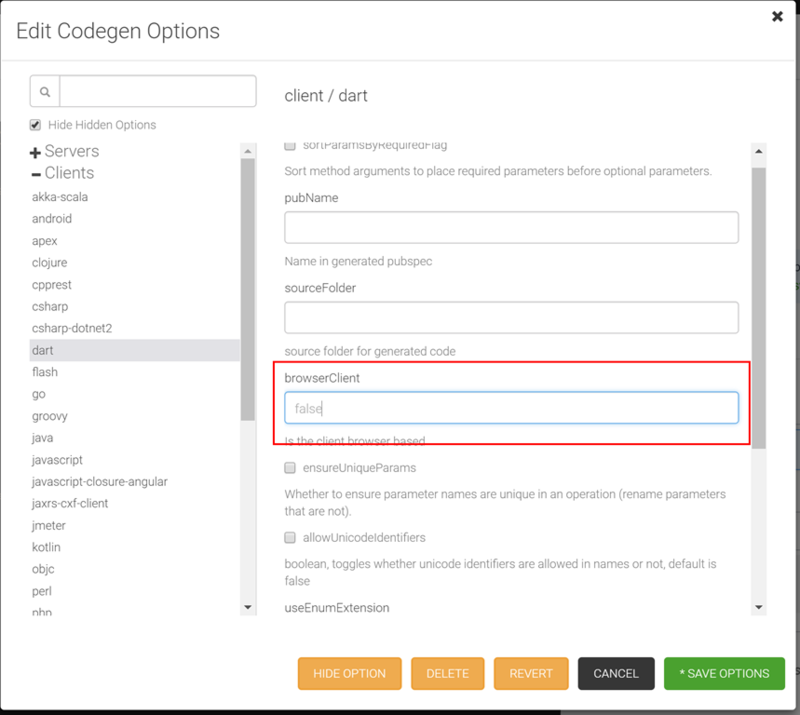 However, before we can go ahead and generate the Dart code we first have to configure the generator options for Dart. 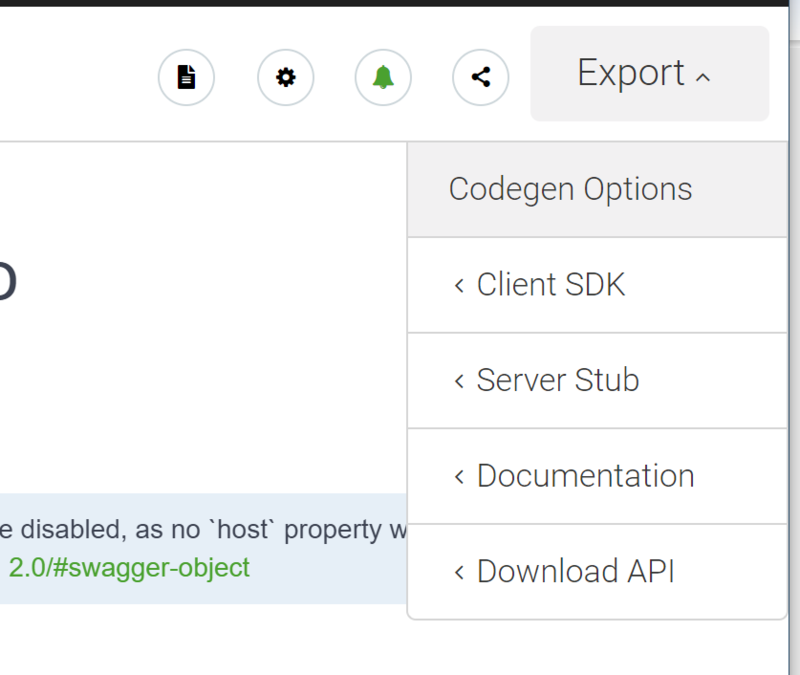 Click on the Export button in the top right of the SwaggerHub page, followed by Codegen Options. Locate “dart” in the left hand tree, and then set the browserClient property to false – by default the Dart generator creates code suitable for Dart being used for web development. 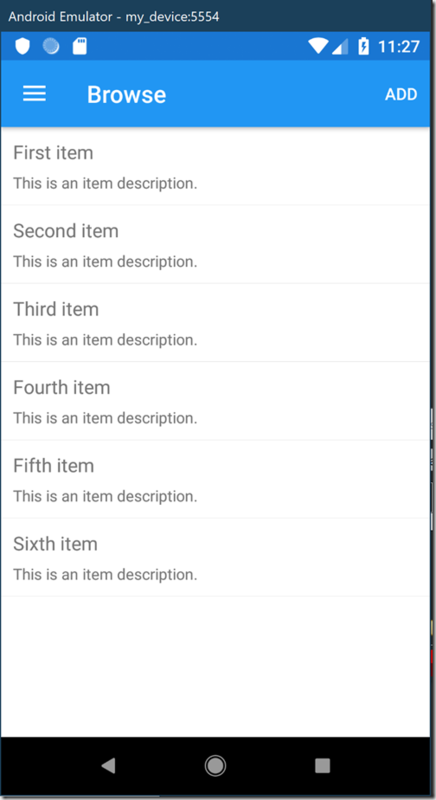 For Flutter you need to set this property to false. 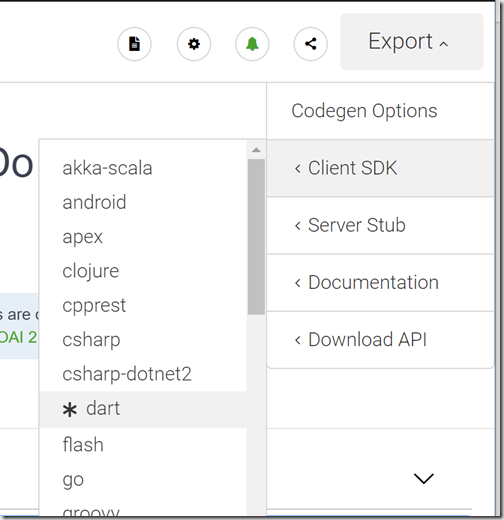 Going back to the Export menu, now select “dart” from under the Client SDK option. 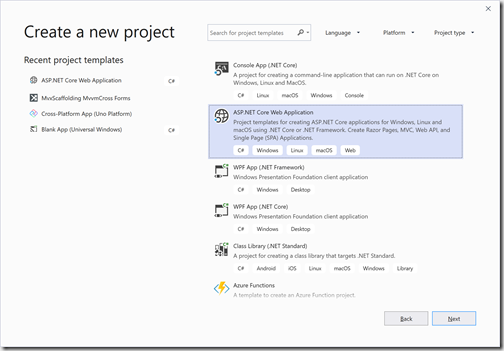 This will automatically generate and download a package that will include a strongly typed set of classes for accessing the tasks endpoint. 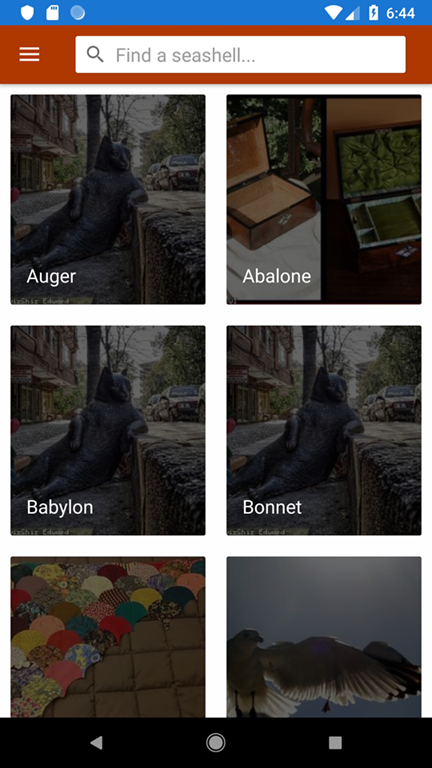 I extract this folder and place the contents of the generated zip file into a new sub-folder called “tasks” at the root of the Flutter application. 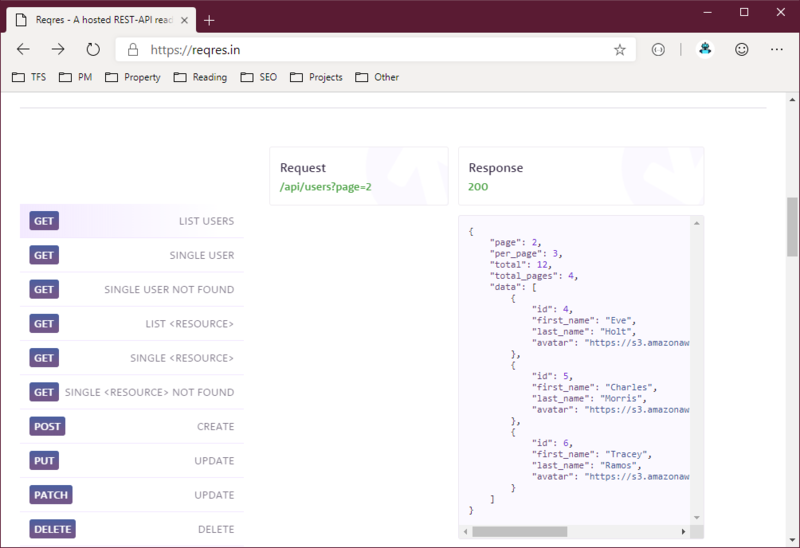 Now to make use of the generated code in our application, I also needed to add a imports statement to the main.dart file. 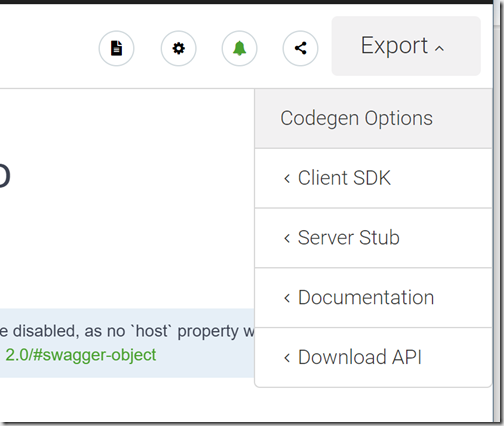 As we’re going to be using the Task entity described by the Swagger I need to update the list variable from a List<string> to List<Task>. 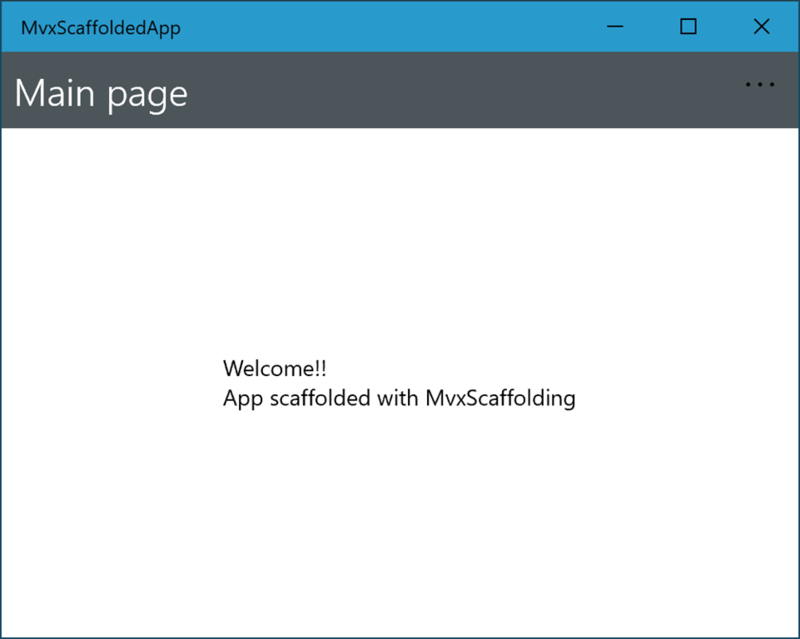 I also added the base url for the app service. 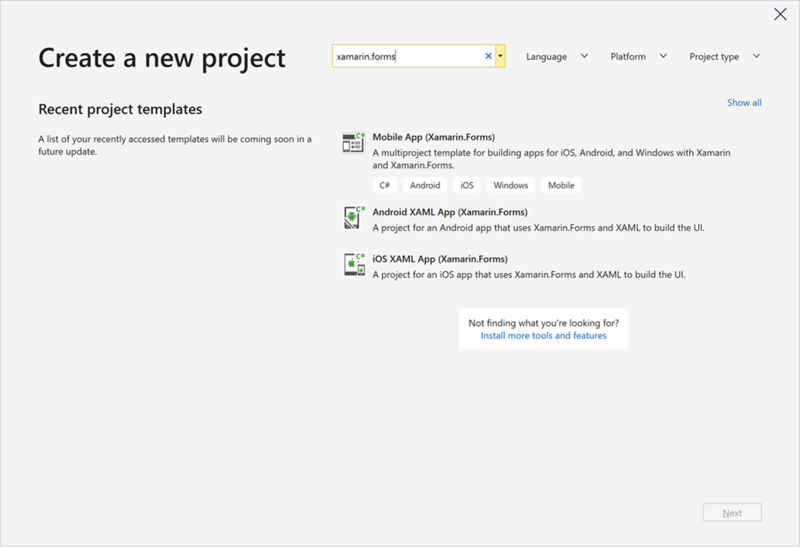 Now with the app back up and running, we can go ahead and call the service in order to retrieve the tasks when the app launches. 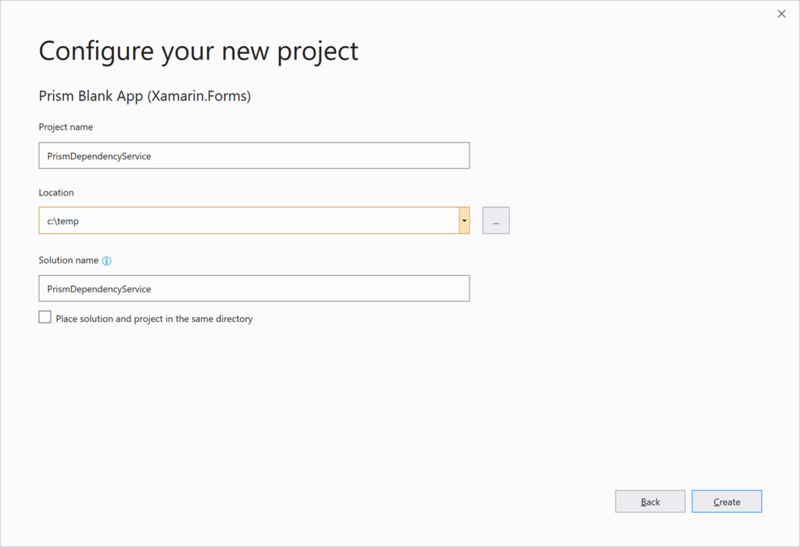 Currently there is no security applied to the app service, which is clearly not only bad practice, it also means that it is impossible to personalise the task list to the individual user, since everyone will be returned the same list of tasks. 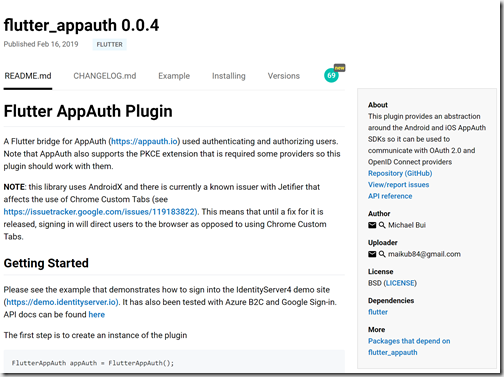 The good new is that we can add authentication to our service without writing a single line of code. 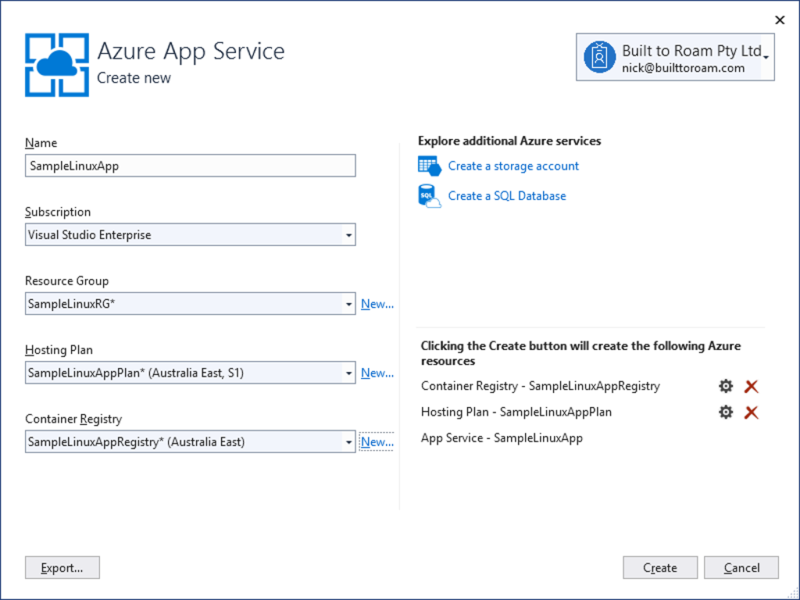 To do this we’re going to choose to use Azure B2C. 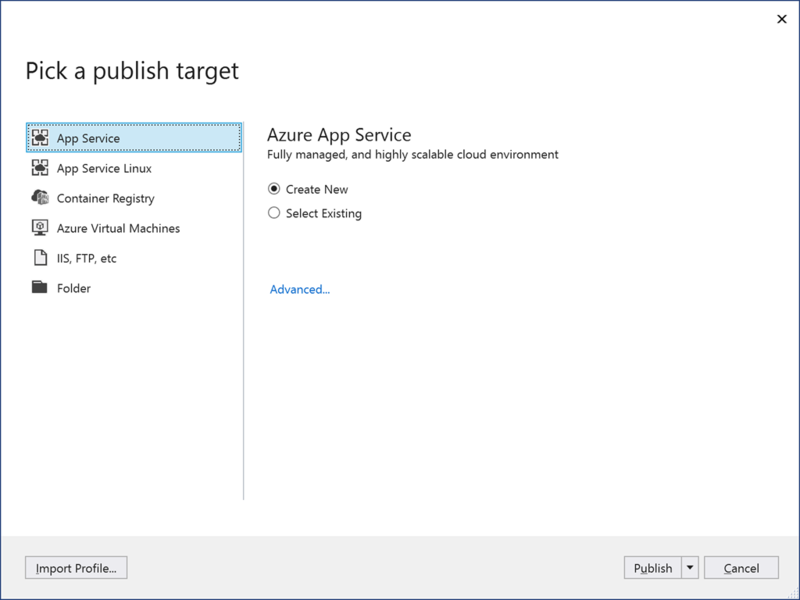 However, Azure App Services can also use a variety of different social credential providers to authenticate the user. 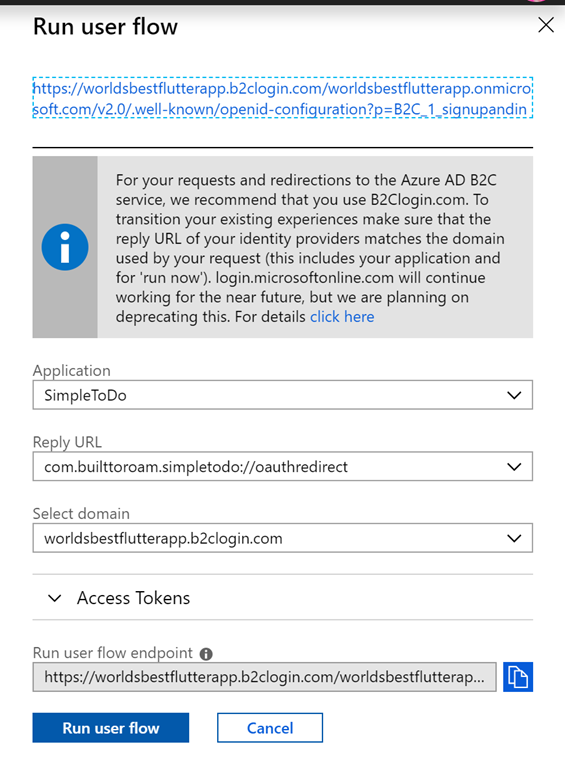 For this application I created a new instance of Azure B2C and setup the default B2C_1_signupandin user flow (aka policy). 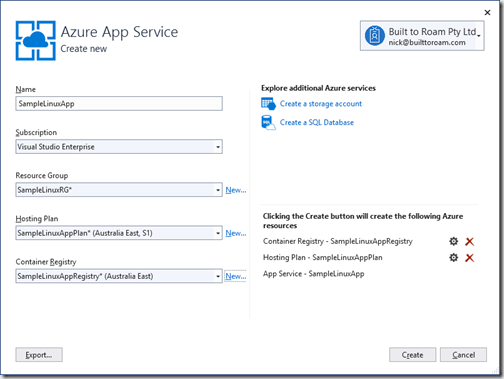 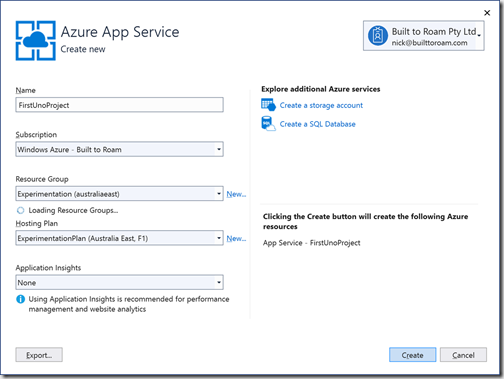 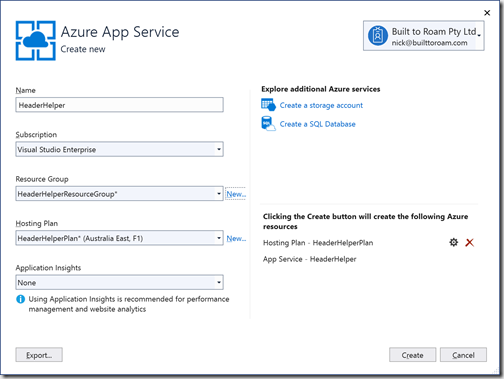 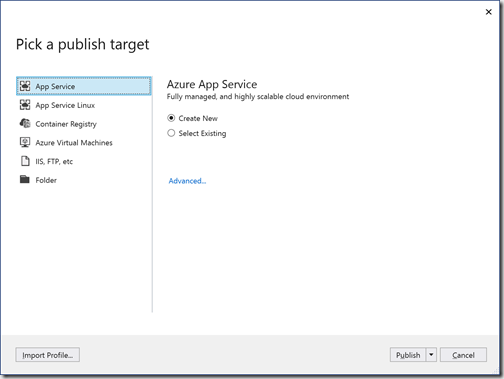 After creating the instance and the user flow, you still need to associate the Azure B2C instance with the app service and vice versa. 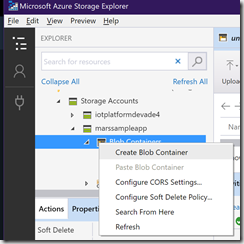 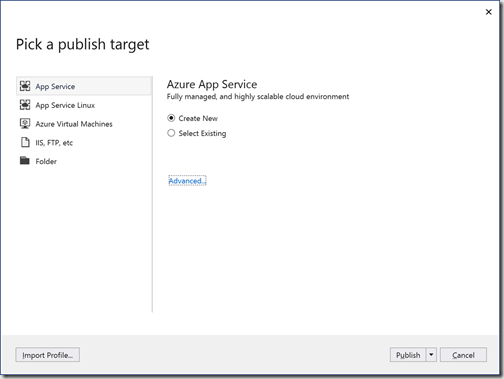 To do this, start by creating a new application registration within the Azure B2C portal – go to Applications tab and click Add button. 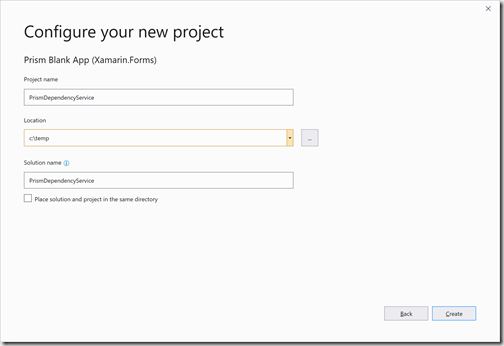 In creating the application registration we want to enable both web app/api and native client. 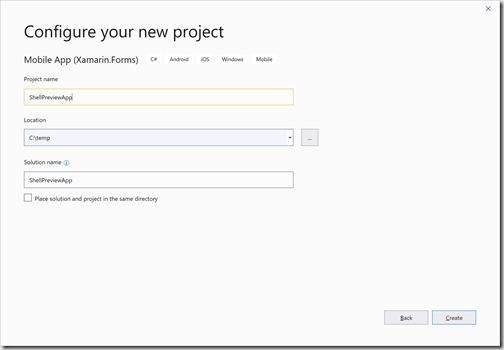 You’ll notice that under the Native Client area there is a Custom Redirect URI specified. 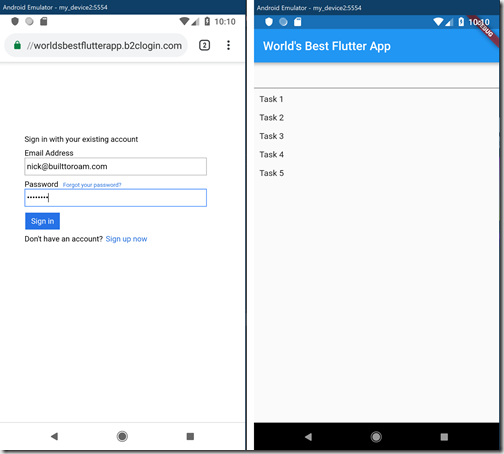 To do authentication using the flutter_appauth plugin (which I’ll come to in a second) the Custom Redirect URI should be in a similar format ie <reverse domain>://oauthredirect. After creating the application registration, take note of the Application ID – you’ll need this when we update the Authentication on the App Service that requires a Client Id. 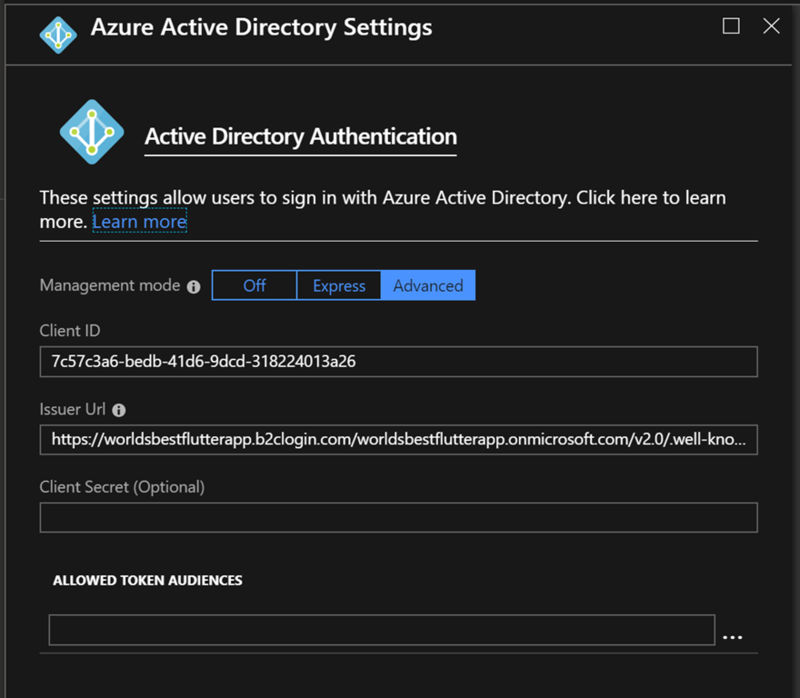 The next thing to do, also in the Azure B2C portal is to navigate to the User flows (policies) tab and then click the Run user flow button. 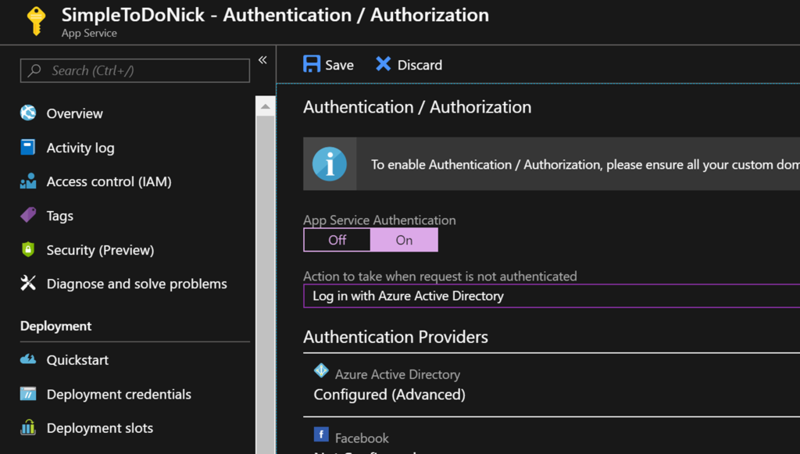 Now we need to switch across to the App Service in the Azure Portal and click on the Authentication tab. 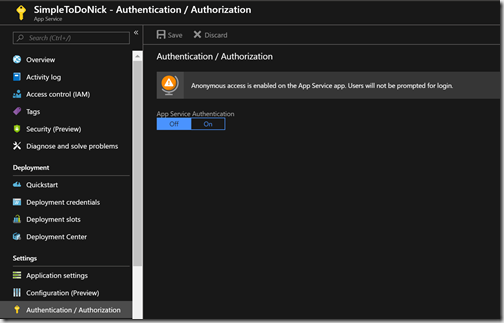 Initially App Service Authentication will be set to Off and there is a warning that anonymous access is permitted. 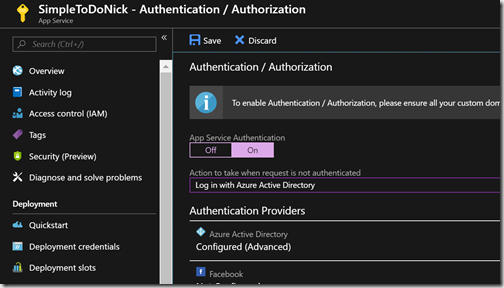 Switch the App Service Authentication to On and under Authentication Providers, click through on the Azure Active Directory settings. 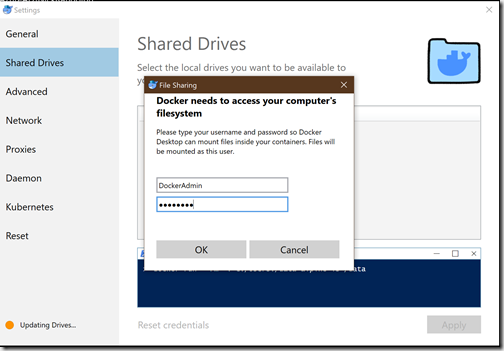 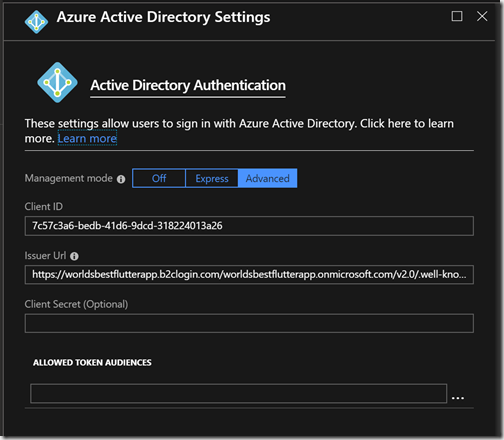 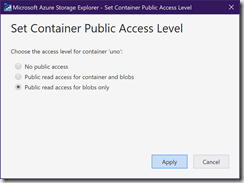 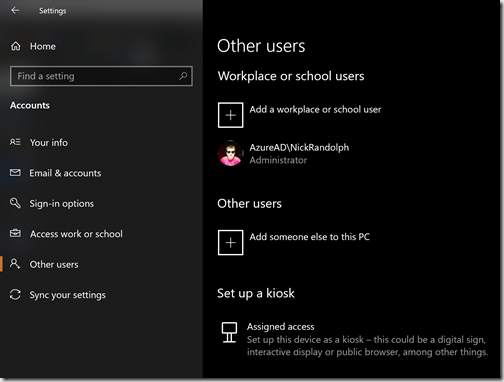 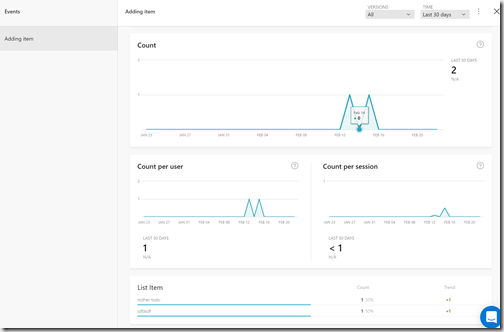 Use the Application Id captured when setting up the Azure B2C as the Client ID. 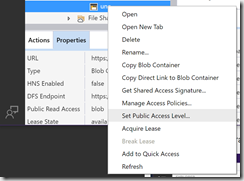 Use the link recorded from the Run user flow dialog as the Issuer Url. 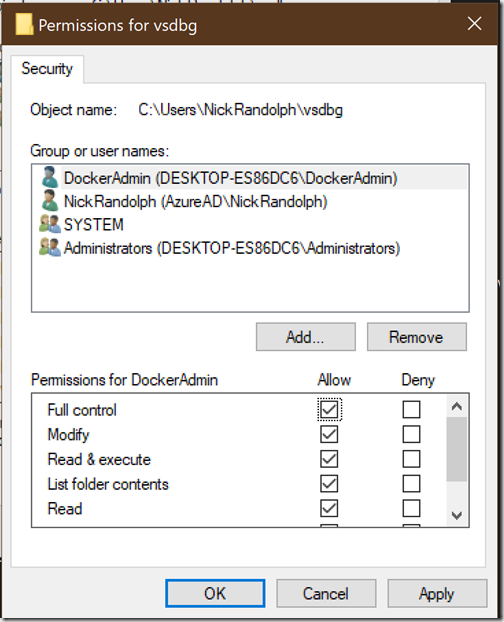 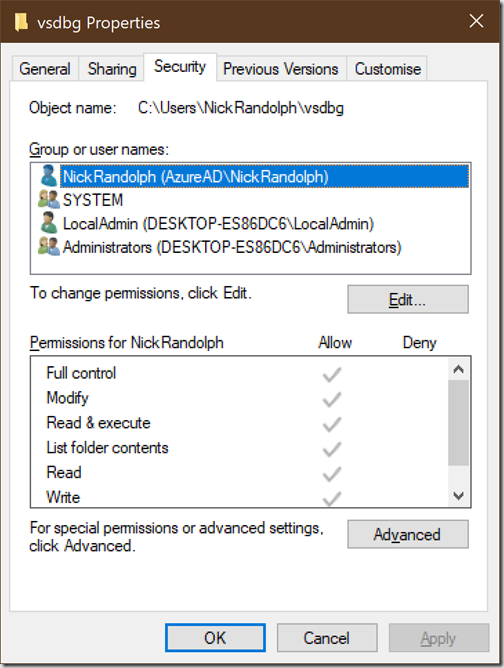 Click OK to commit the Azure Active Directory settings. 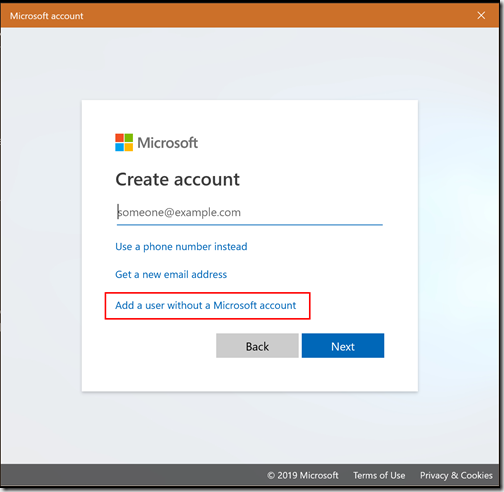 Back in the Authentication / Authorization settings, make sure that the “Action to take when request is not authenticated” dropdown is set to “Log in with Azure Active Directory” – this will enforce sign in if no Authorization token is presented. 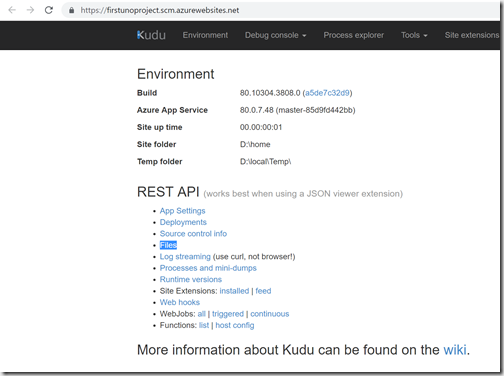 After hitting Save, if you attempt to access the app service you’ll find that you get a security exception (if sending raw requests), or redirected to the sign in prompt if attempting to load the endpoint in a browser. 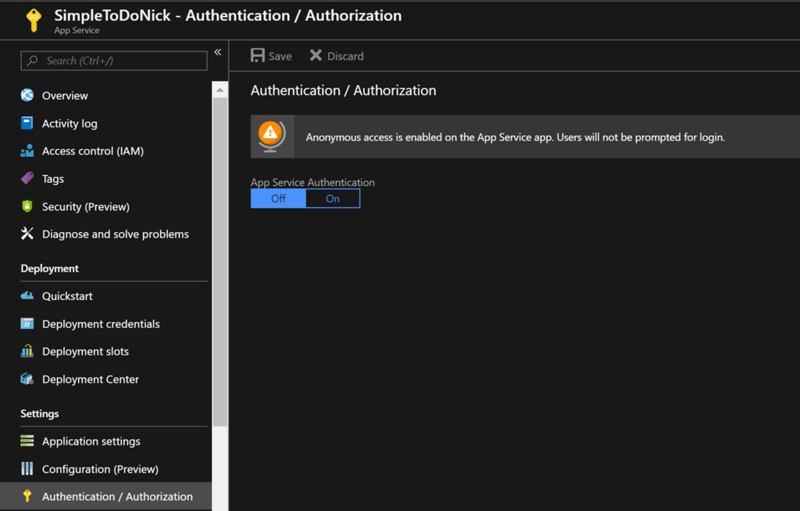 After setting up authentication on the app service, if you attempt to run the application it won’t be able to retrieve the list of tasks as the requests are unauthenticated. 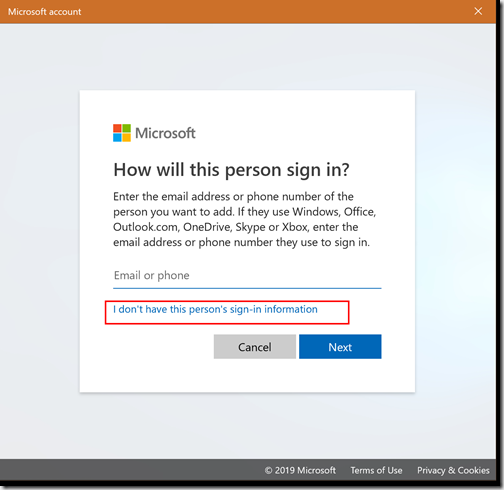 In order to create a request that is authenticated (ie supplies a validate Authorization header in this case) we need to get the user to sign into the application. 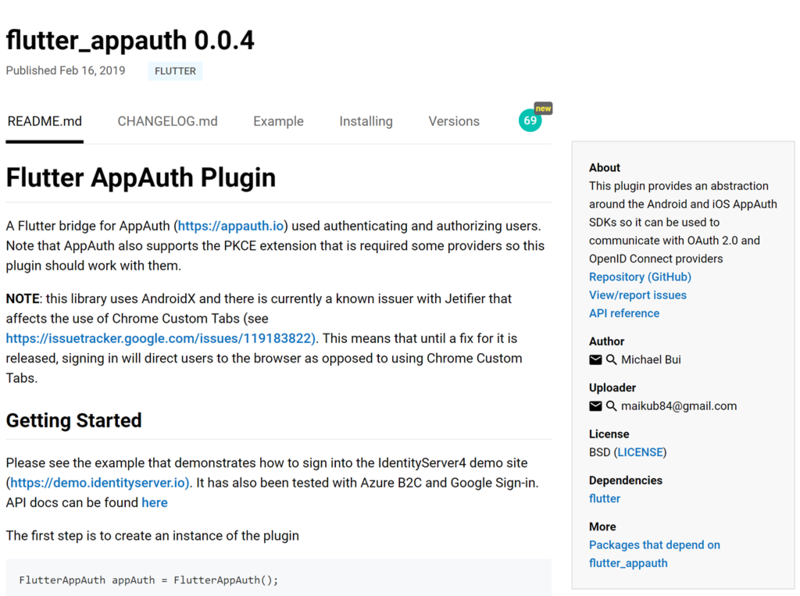 Luckily there is a Flutter plugin, flutter_appauth (source code), that has been created by Built to Roam colleague Michael Bui, that wraps AppAuth iOS and Android libraries. 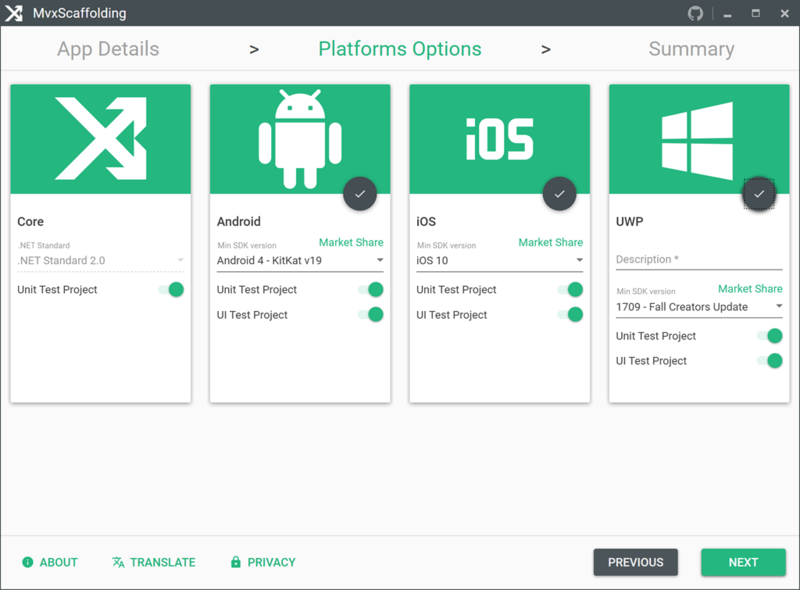 Next, we need to upgrade the Android application to use the AndroidX libraries instead of the older support libraries. 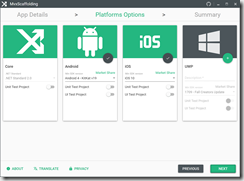 To do this we need to open the Android part of the flutter application in Android Studio. 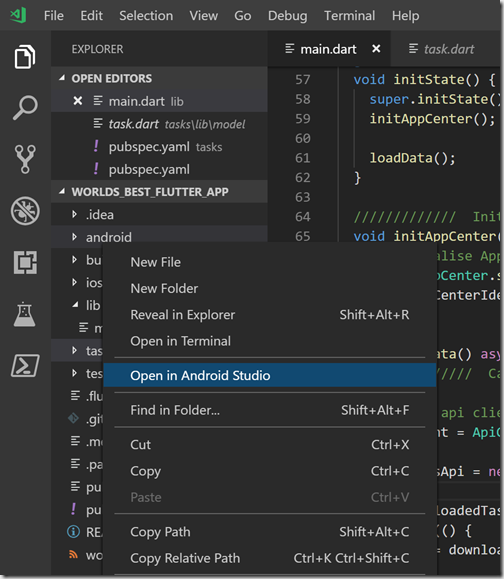 Right-click on the android folder in VS Code and select the Open in Android Studio option. 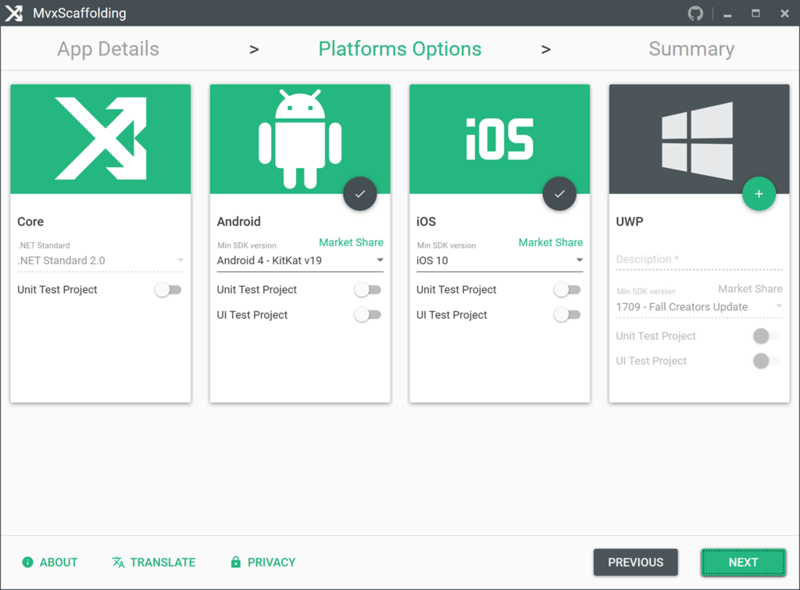 Side note: The first couple of times I tried this whilst preparing this demo Android Studio kept saying that there was nothing to update. 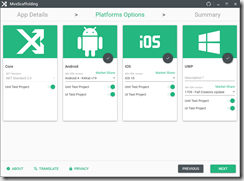 It turns out that there was an update to the Flutter plugin to Android Studio that was waiting to be installed – I did this, which resulted in Android Studio reloading. 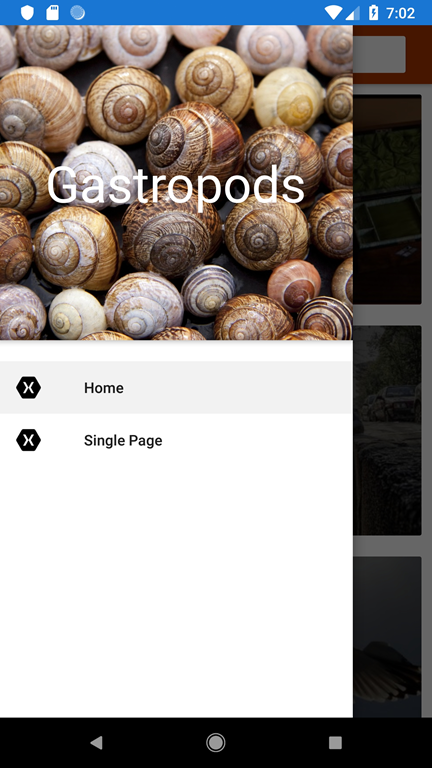 After reloading the folder structure under Project expanded to show the referenced flutter plugins as well as any external libraries. 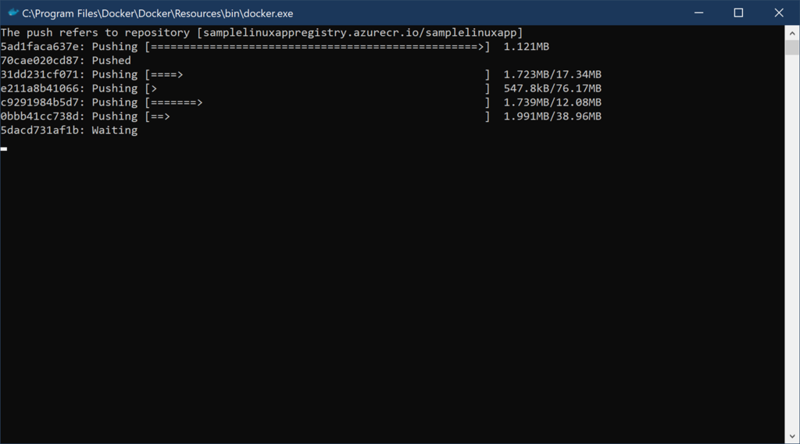 At this point running Migrate to AndroidX worked. 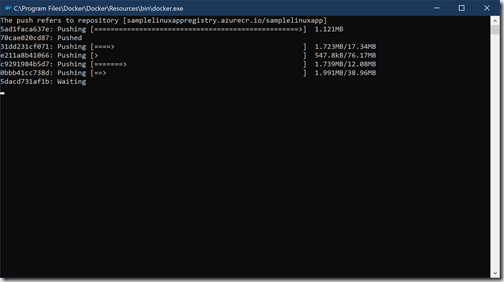 When Migrate to AndroidX does work for you it’s not immediately obvious that something has changed…. 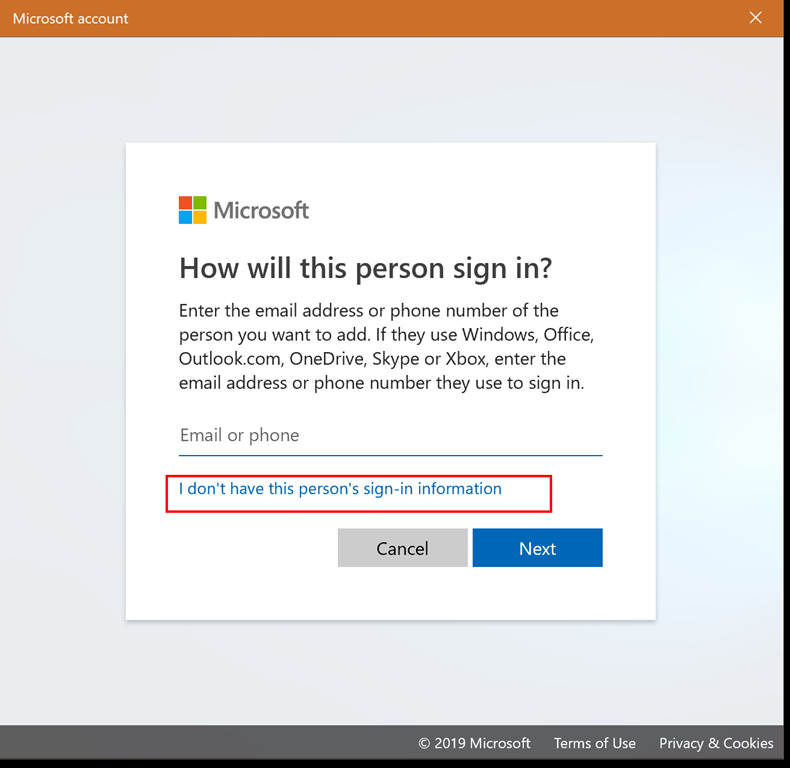 which is because it hasn’t. 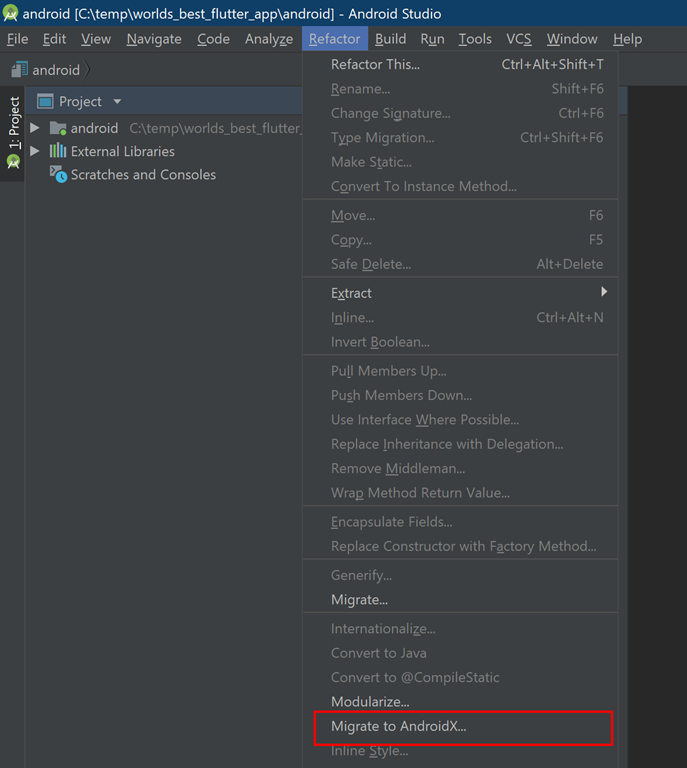 Instead Android Studio will have opened up a tool window at the bottom of the screen, prompting you to confirm the Refactoring Preview. 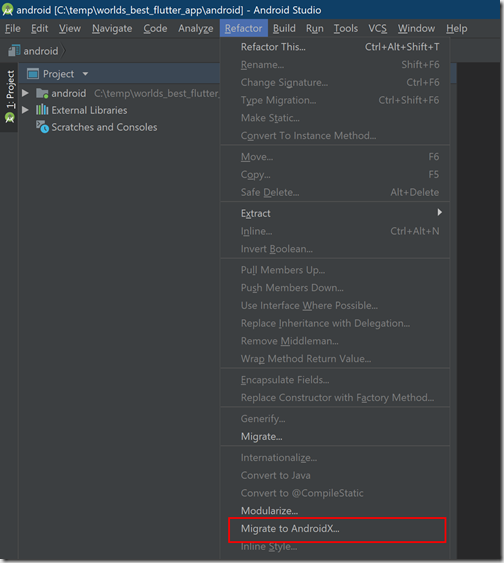 Click Do Refactor to complete the migration. 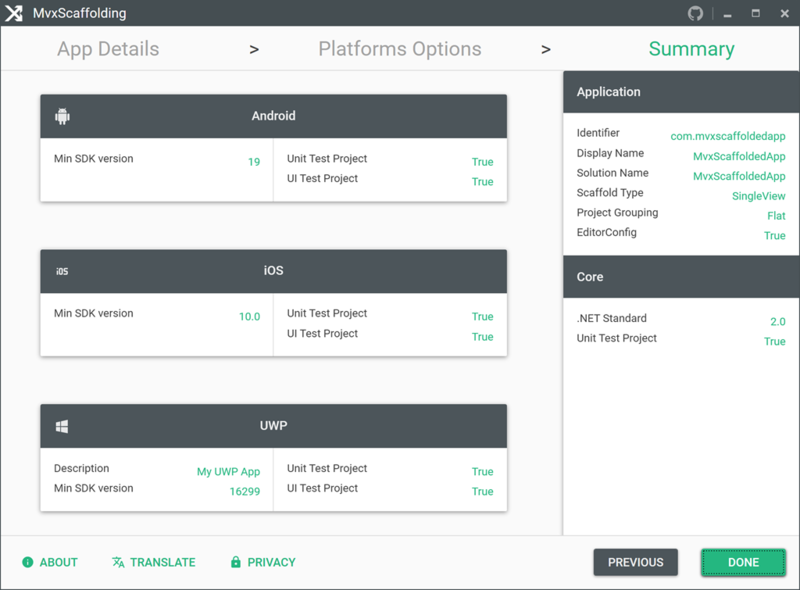 If you look in the /android/app/build.gradle file you should see that the dependencies list at the end of the file have been updated. 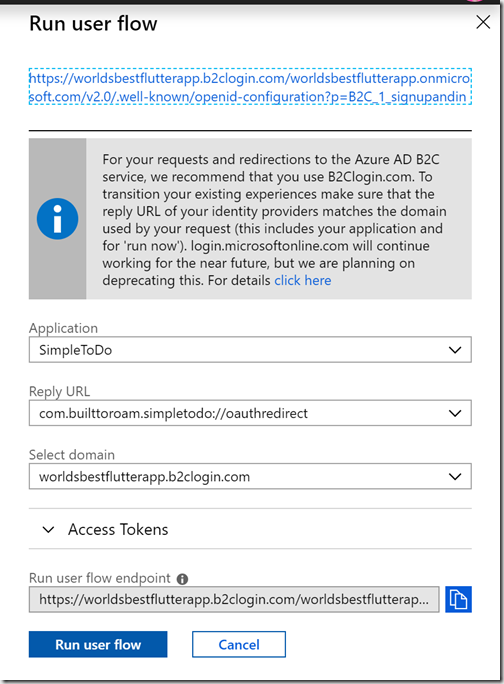 Note that the appAuthRedirectScheme should match the reverse domain part of the Custom Redirect URI property set when setting up Azure B2C earlier. 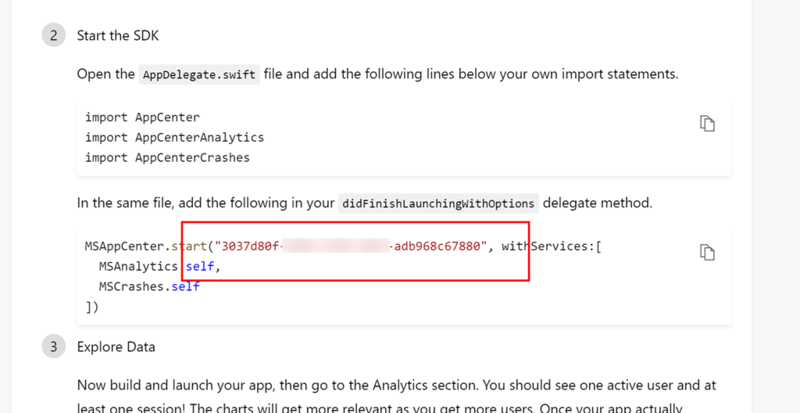 For iOS open the /ios/Runner/Info.plist file and add the CFBundleURLTypes key/value as follows. Next, add in some constants that are needed for the authentication process to the beginning of the _MyHomePageState class, as well as an instance of the FlutterAppAuth class. 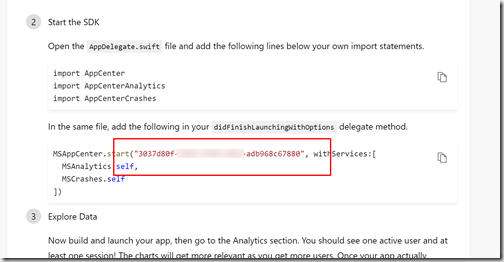 At the beginning of the loadData method we created earlier, add a call to the authorizeAndExchangeCode method on the _appAuth instance. 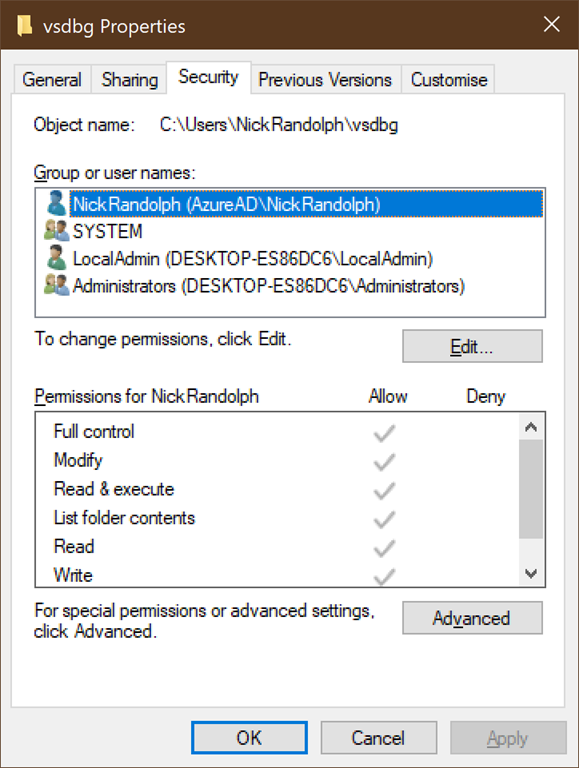 // Setup authentications (key: authentication name, value: authentication). 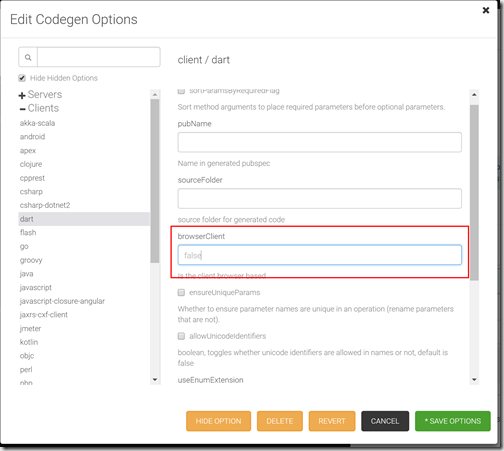 This sets the ApiClient to use OAuth which means that you can then call the setAccessToken method on the instance of the ApiClient, which should be the code that immediately follows the call to authorizeAndExchangeCode. 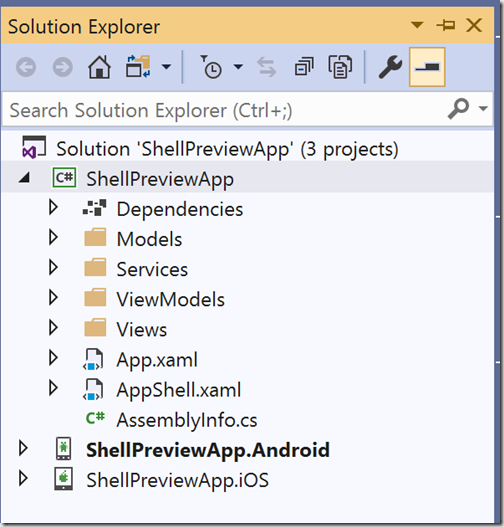 And there you have it, your application should be good to go. 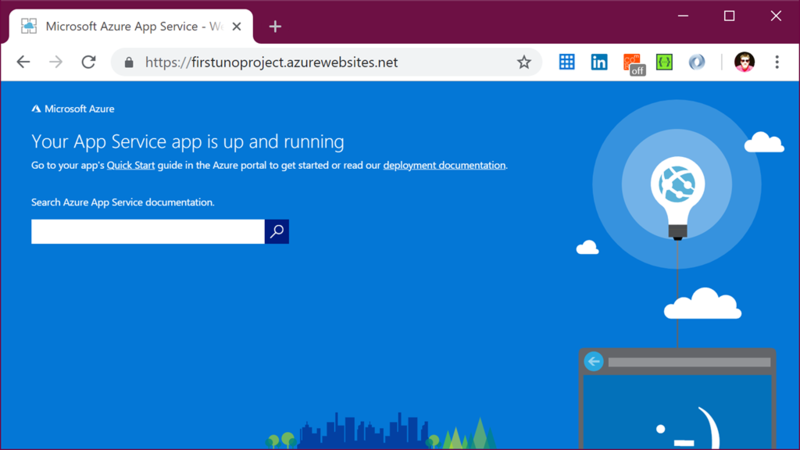 When you launch the application, it will redirect to the Azure B2C sign in page. 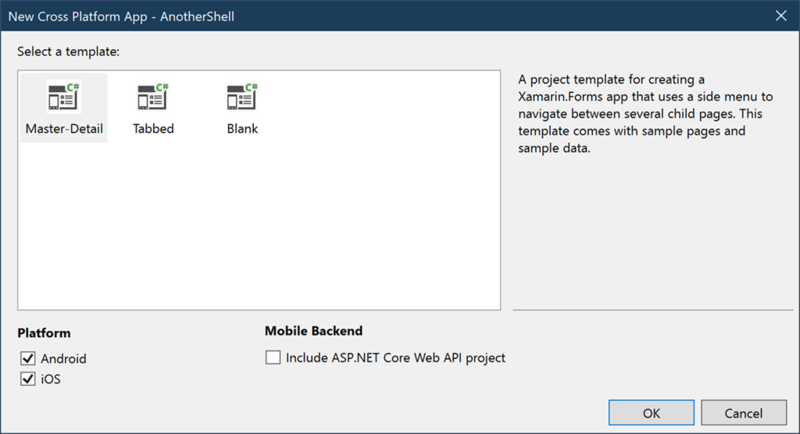 After authenticating it will redirect back to the application and load the task list. 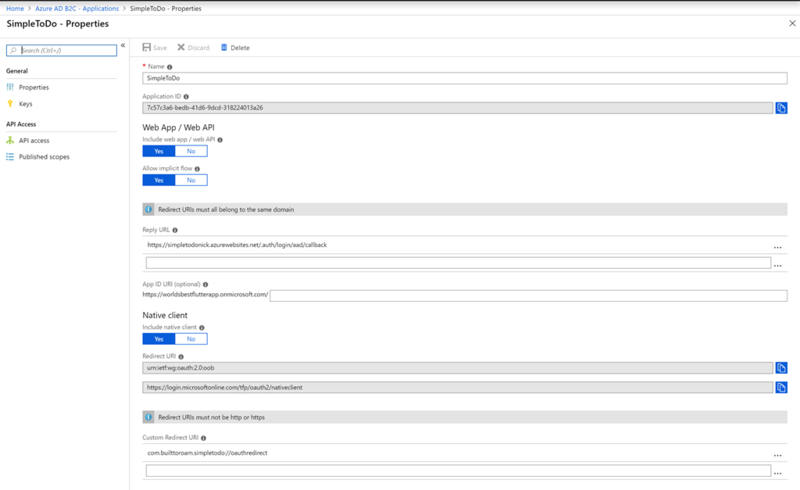 Big shout out to the community for rolling so many great plugins for Flutter. 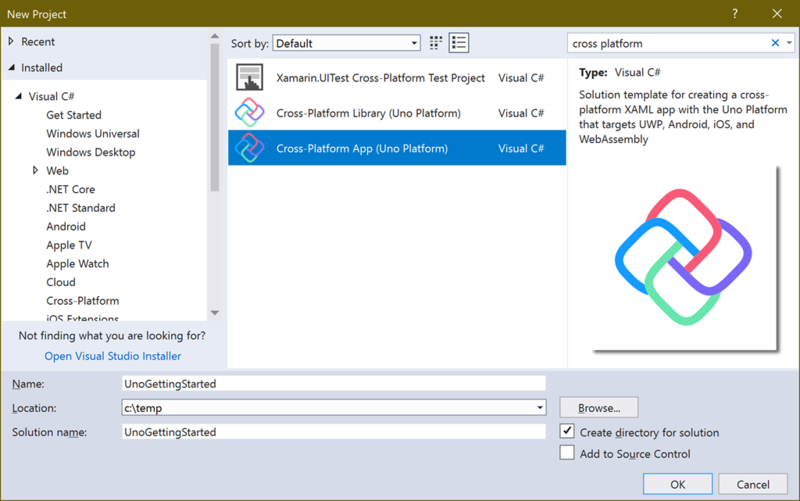 The world of cross platform development is progressively becoming easier to make high quality applications through frameworks such as Xamarin.Forms and Flutter.